Did you know? 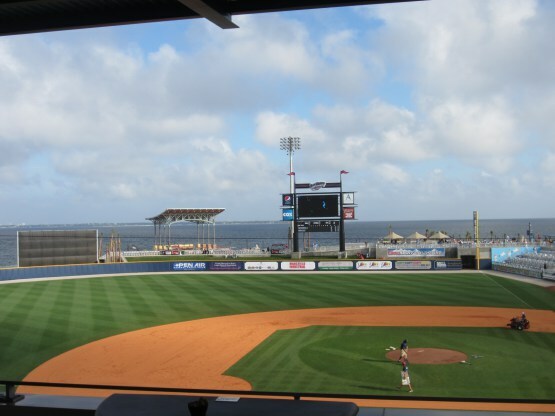 Each one of my road trip blog posts has an accompanying MiLB.com article. Click HERE and HERE to read features from Charlotte. Usually, when I go on one of these road trips, there is a “hook” that motivates me to visit the region in question. 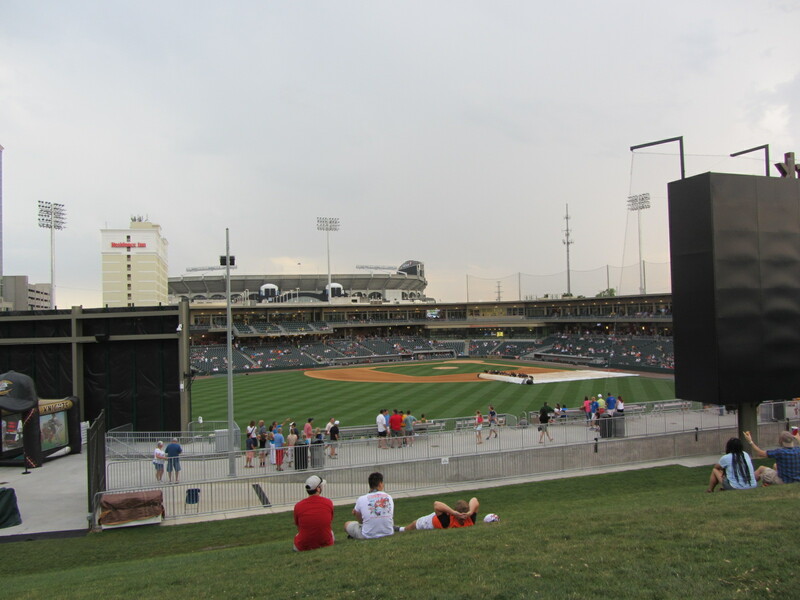 My first trip of 2014, which took place in late April and early May, brought me to the Southwest (and, later, Texas) because it seemed imperative to visit the El Paso Chihuahuas in this, their inaugural season. 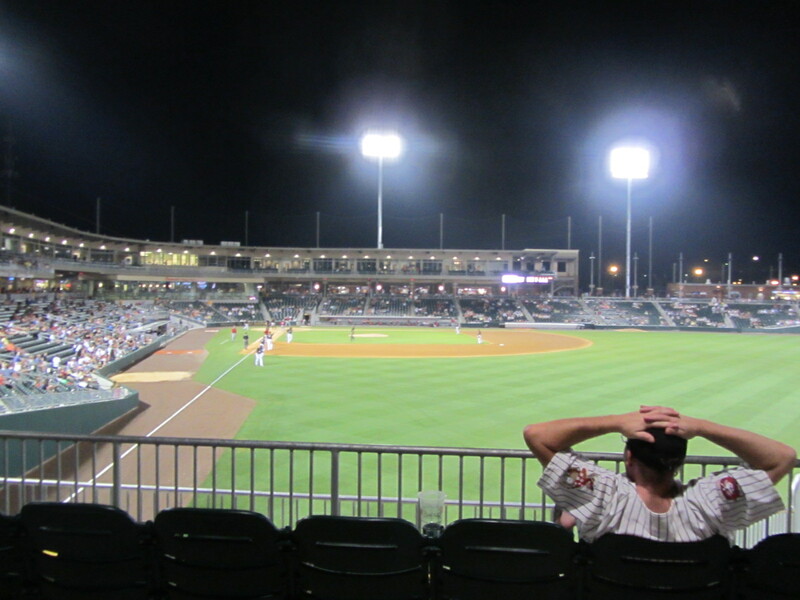 2014’s second trip, which you are reading about now, was motivated by the desire to see the Huntsville Stars’ final season and the Charlotte Knights in their new ballpark. This post will be devoted to the latter attraction. Welcome to Charlotte. 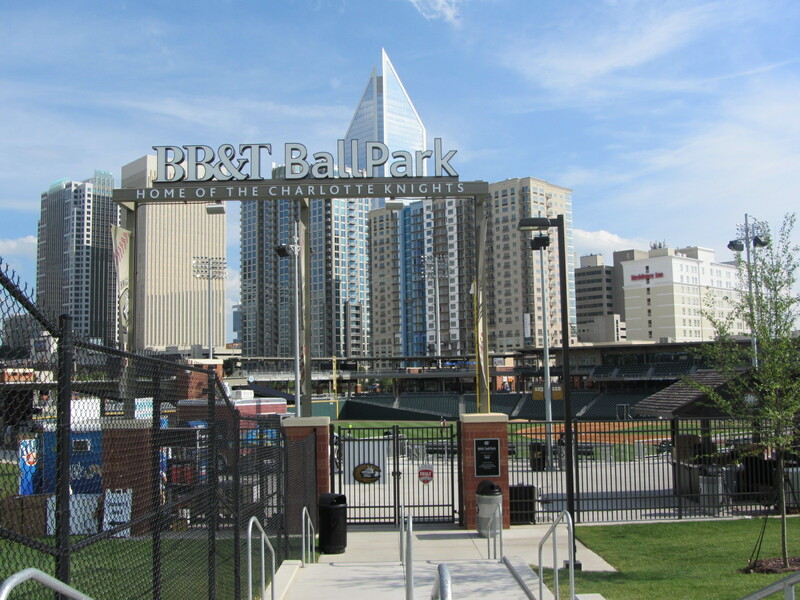 BB&T Ballpark has all the bells and whistles one would expect from a gleaming new downtown (or, in this case, uptown) facility, but its most memorable feature isn’t part of the ballpark. 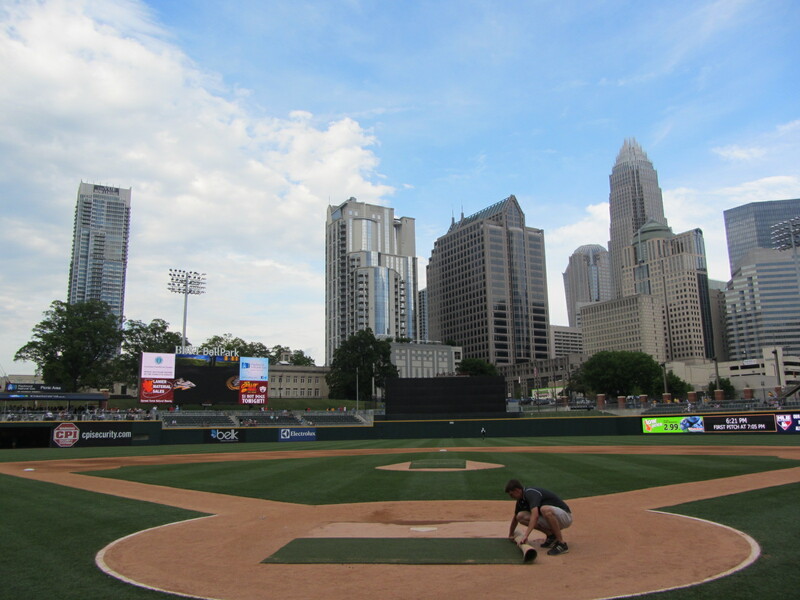 It’s simply the fact that the Knights are once again in Charlotte, surrounded by what is almost certainly the best urban ballpark view in all of Minor League Baseball. 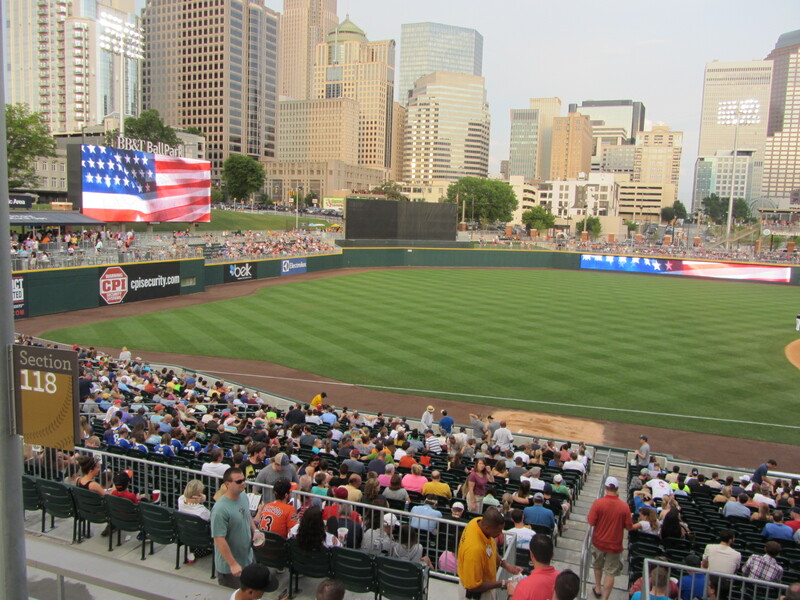 After a quarter century in which the Knights competed across the state line (in Fort Mill, South Carolina), they are once again Charlotte’s team. 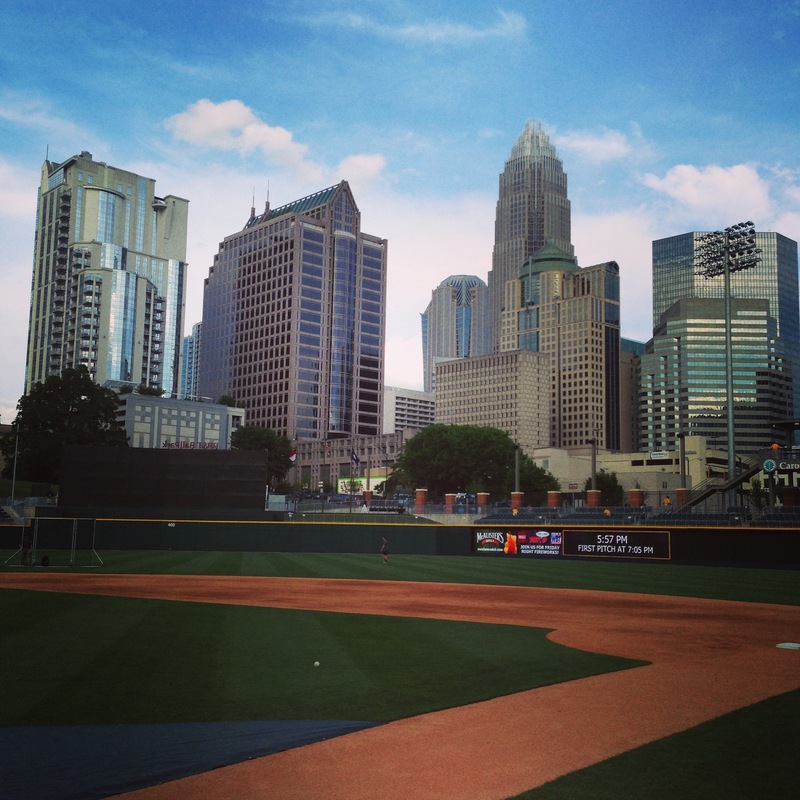 I walked to BB&T Ballpark from a nearby hotel, and my first view of the facility was this. 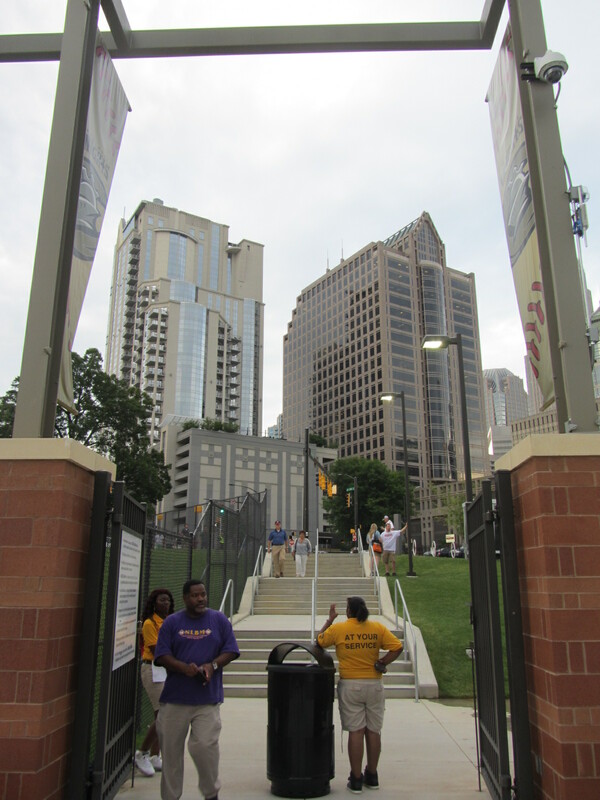 But I did not utilize this left field line entryway. My media pass was to be found closer to home plate, so further on I trekked. 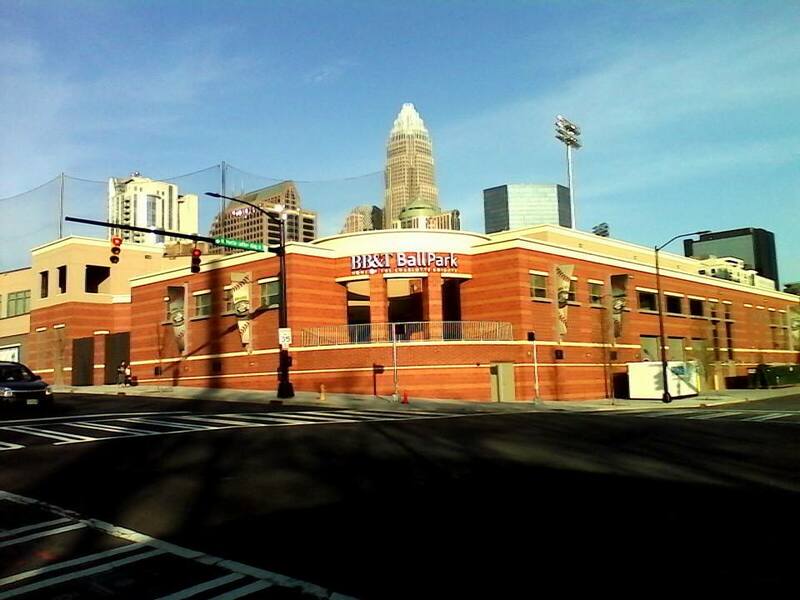 Along the way, I took note of these murals depicting Charlotte’s ballpark history. During my long journey to another entrance, I made note of the fact that the NFL’s Carolina Panthers play just across the way. Surely, this photo will earn me some sort of award. And, what do you know? 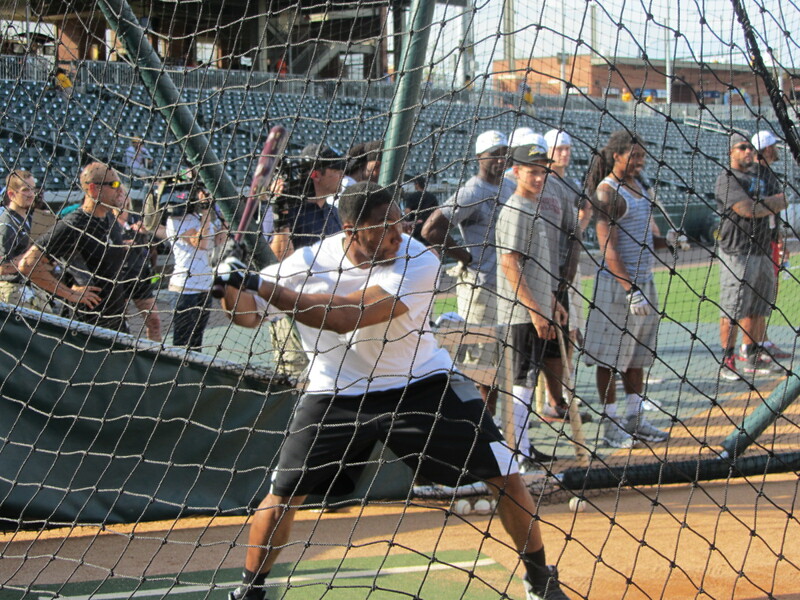 Most of the Carolina Panthers were right there on the field, taking batting practice. Some guys were more into it than others. But the undisputed star of the show was long snapper J.J. Jansen. He handily won the “home run derby” that was taking place (my notes are a little unclear, but the only other guy who I saw hit one was quarterback Joe Webb). Jansen in action. I don’t know who this is, but my notes say “worst hitter, yellow shirt.” Some views from the playing field. 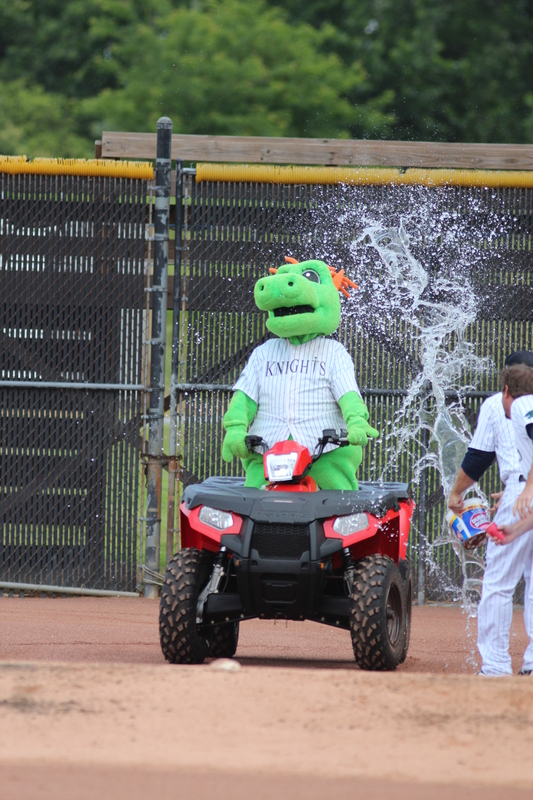 Meanwhile, Jensen was reaping the spoils of victory. I felt happy for the guy, as his “day job” is one that gets no recognition whatsoever. The only time people give a second thought to the long snapper is when he messes up, kind of like driving a pace car or being an umpire. 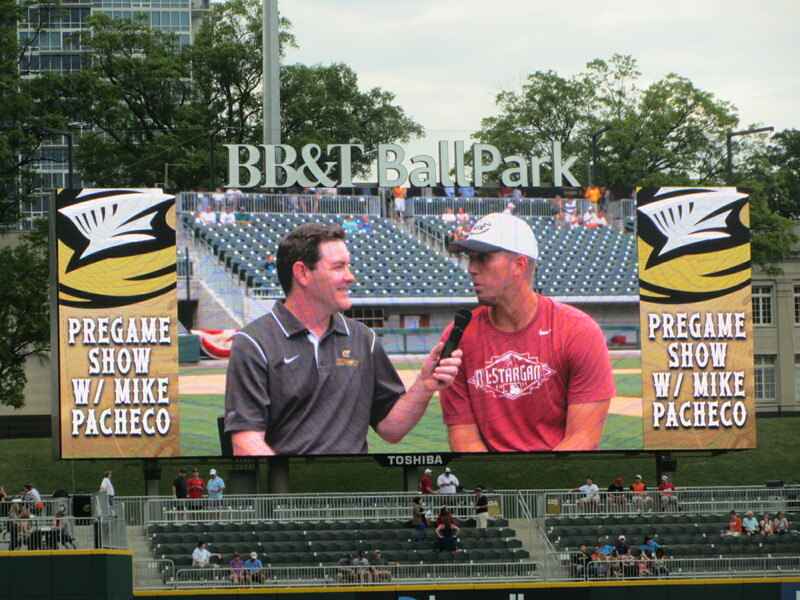 I flirted with the idea of interviewing some Carolina Panthers, but writing an article with the topic of “football players take batting practice” didn’t seem very appealing. Instead, I just soaked in the atmosphere. 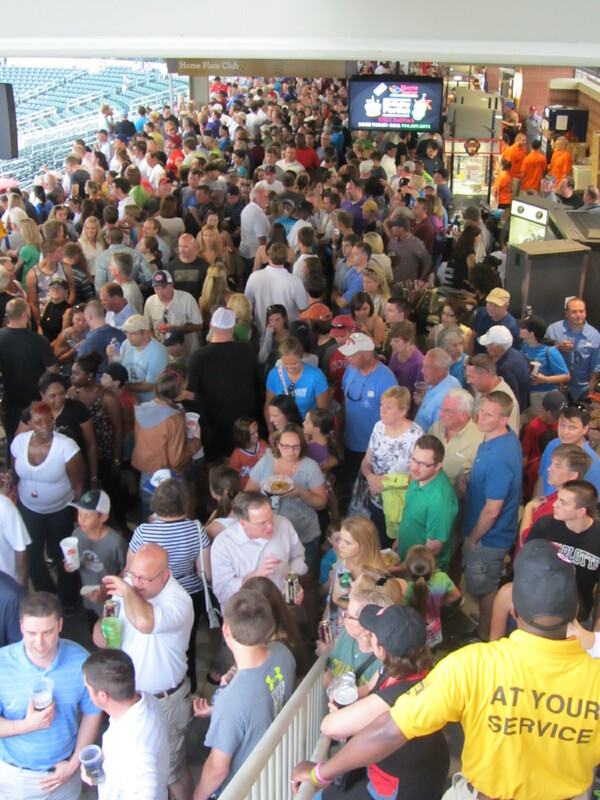 By the time I emerged on the concourse, there were already a lot of people roaming the concourse. 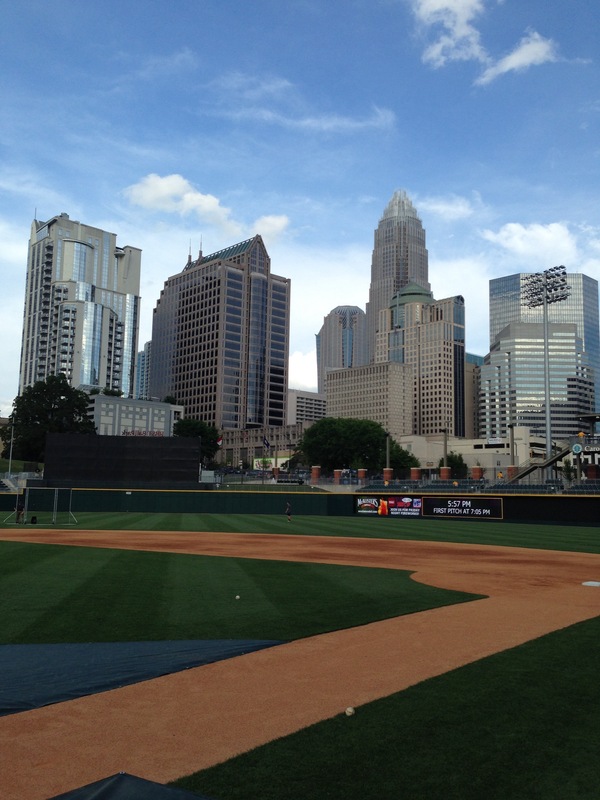 When it comes to this ballpark, Charlotte fans are definitely still in the honeymoon period. 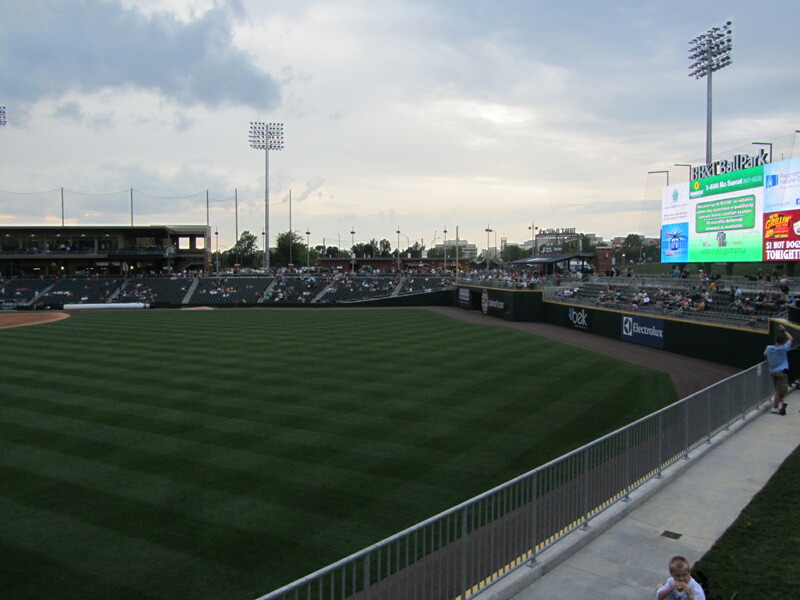 (In fact, the Knights have already established a new attendance record.) 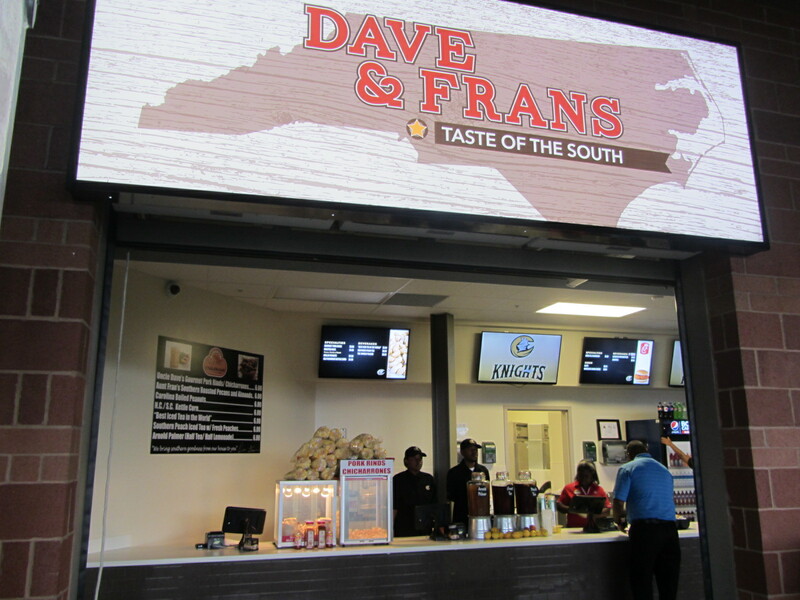 I’ll write about some of the food offerings a bit later, but for now I’d just like to note that Dave & Frans (a popular Charlotte restaurant) sold pork rinds, boiled peanuts and sweet tea. These are three of my favorite things in the world. 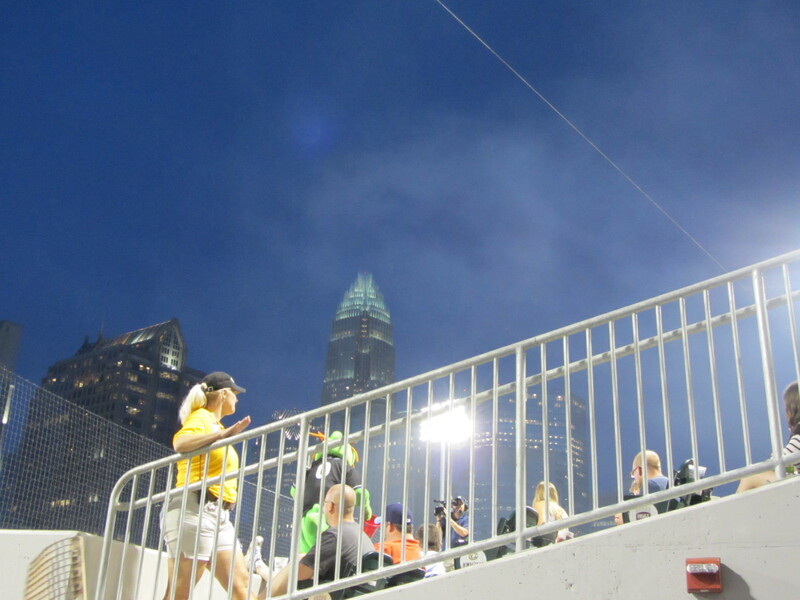 Moving on to the outfield — more vantage points! 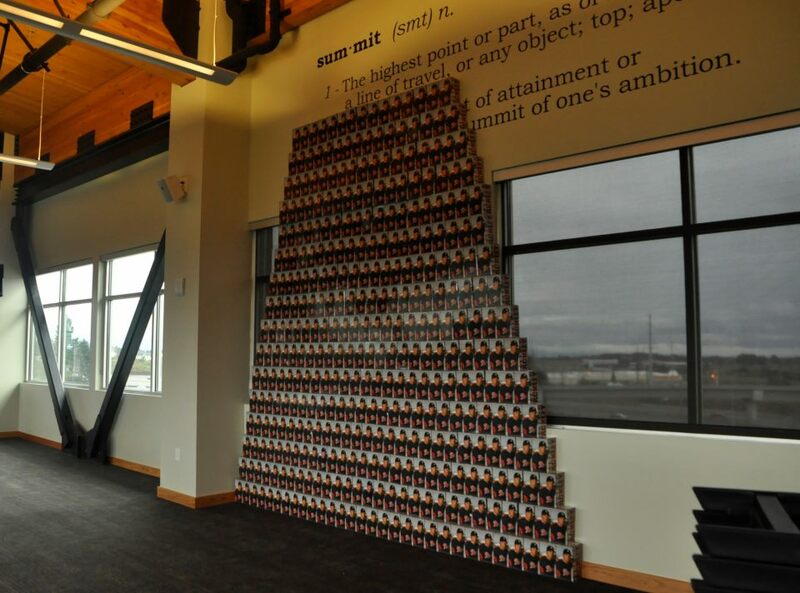 I had never seen a NEOS Wall at a ballpark before. In fact, I had never seen a NEOS Wall, period. But it was really cool, kind of like a Nintendo Power Pad for a new generation. 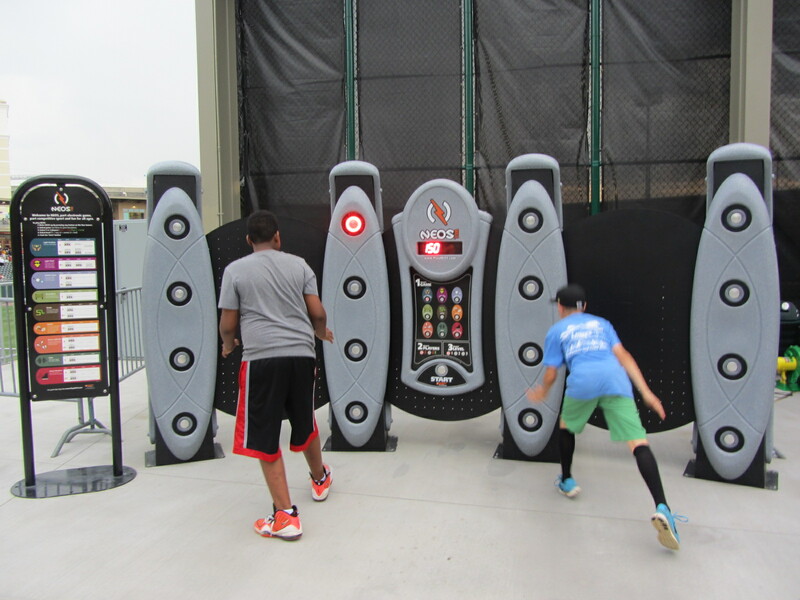 Video games combined with exercise. But enough about NEOS. Pourin’ it was out there and, like soothing ointment on a flesh wound, the front office was putting the tarp on the field. 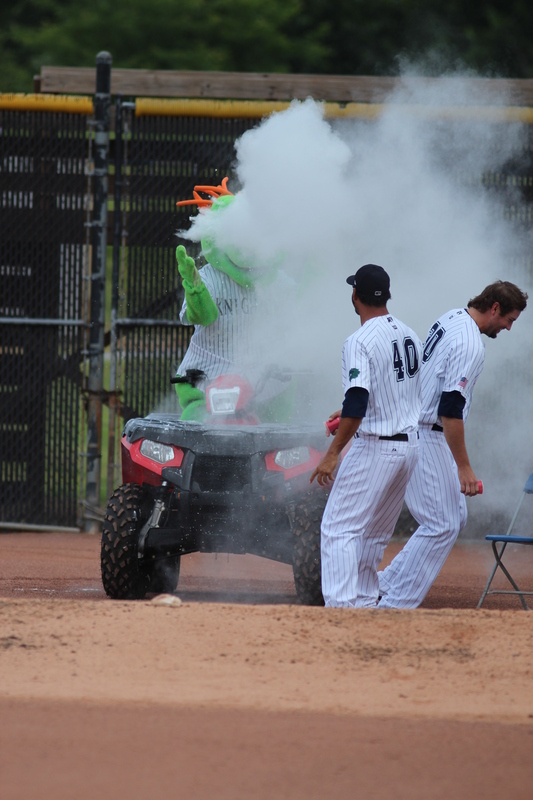 This marked the fourth time on this trip in which I witnessed a rain delay. The weather, it was just not on my side. 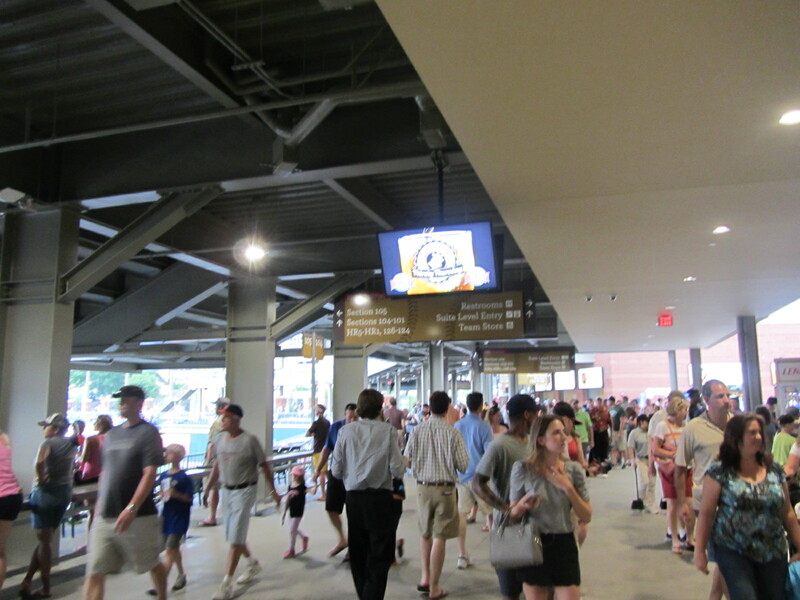 BB&T Ballpark is equipped to handle many things, but it’s not quite equipped to comfortably accommodate a near-capacity crowd on the concourse. I’m not sure if many (or any) ballparks are. The hoi polloi were packed in like sardines, but those with access to the upper club level (suite holders and such) had plenty of room to move. 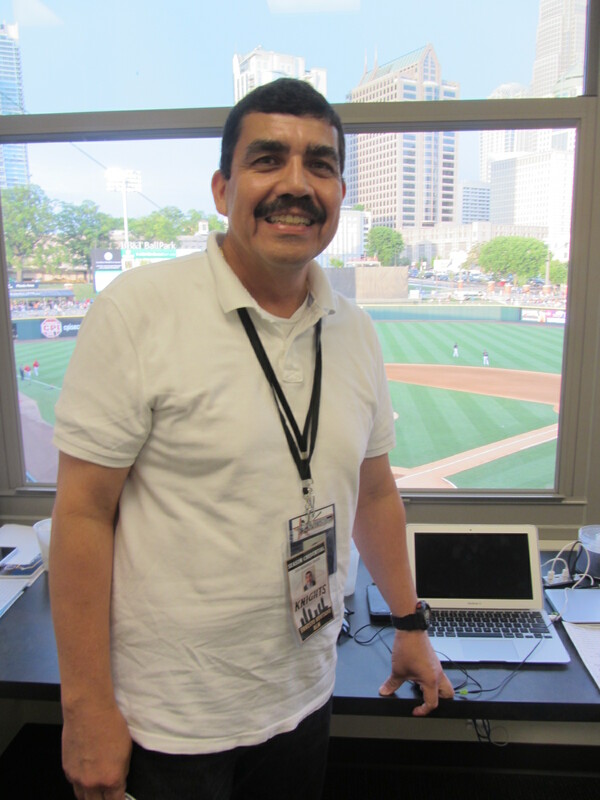 A brief detour to the press box resulted in an impromptu meeting with Ernesto Hurtado, who produces the Knights’ Spanish language radio broadcasts. I wrote a story about that HERE. 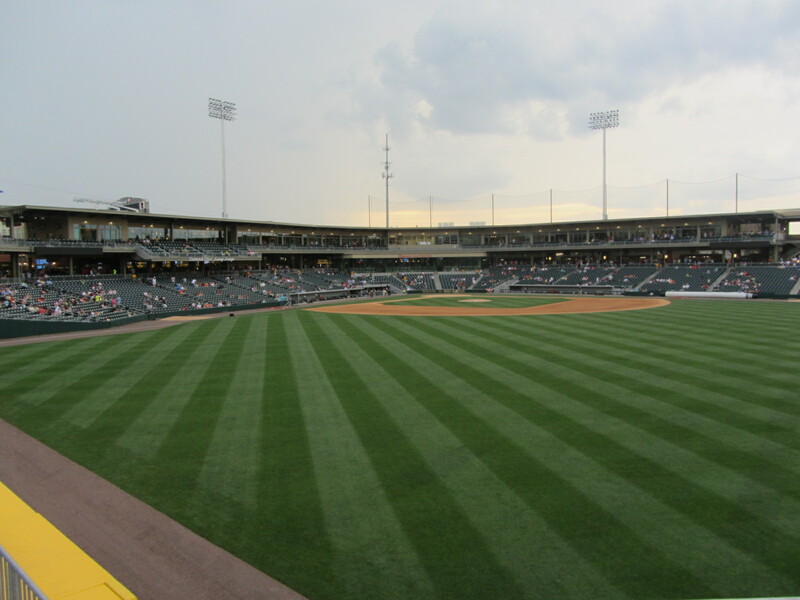 After a brief rain delay, that evening’s scheduled contest between the Knights and Rochester Red Wings was ready to begin. 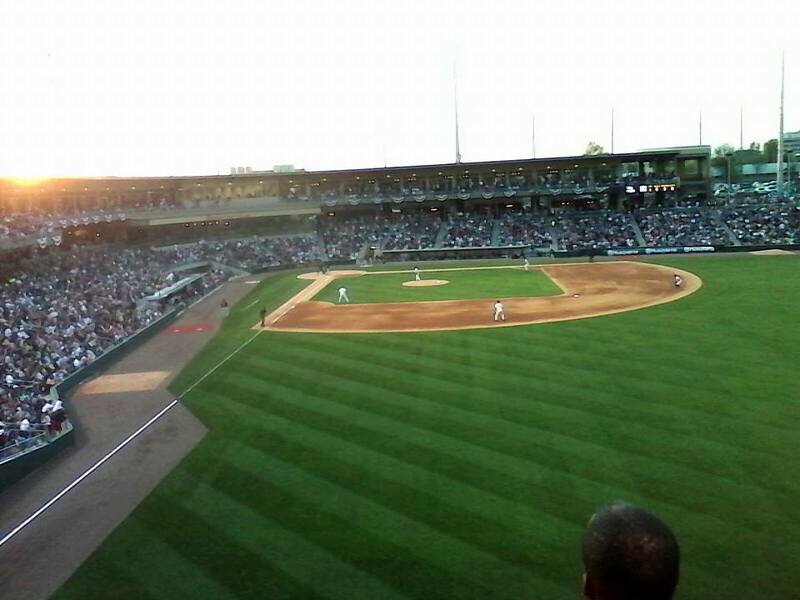 What a beautiful ballpark atmosphere. 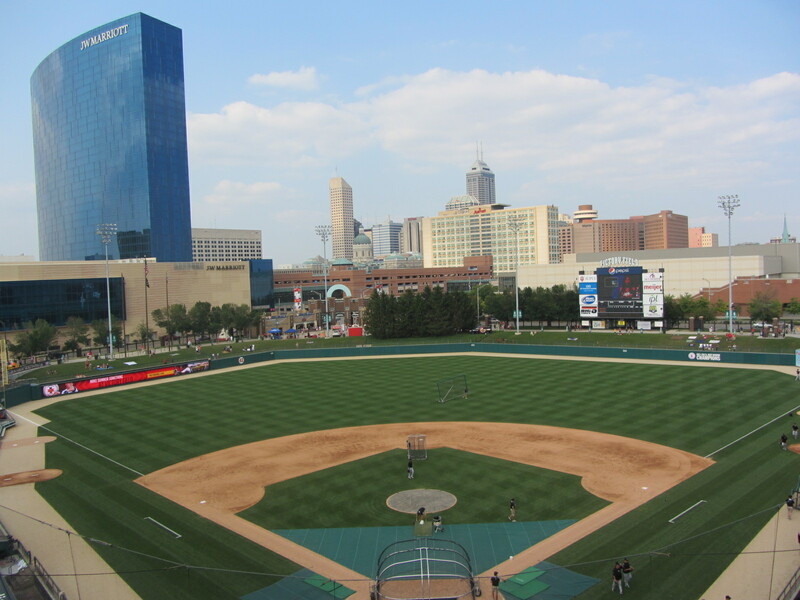 With the game underway, Knights media relations director Tommy Viola (one of the hardest working men in Minor League Baseball) took me on a little tour of the facility. We started in the outfield. 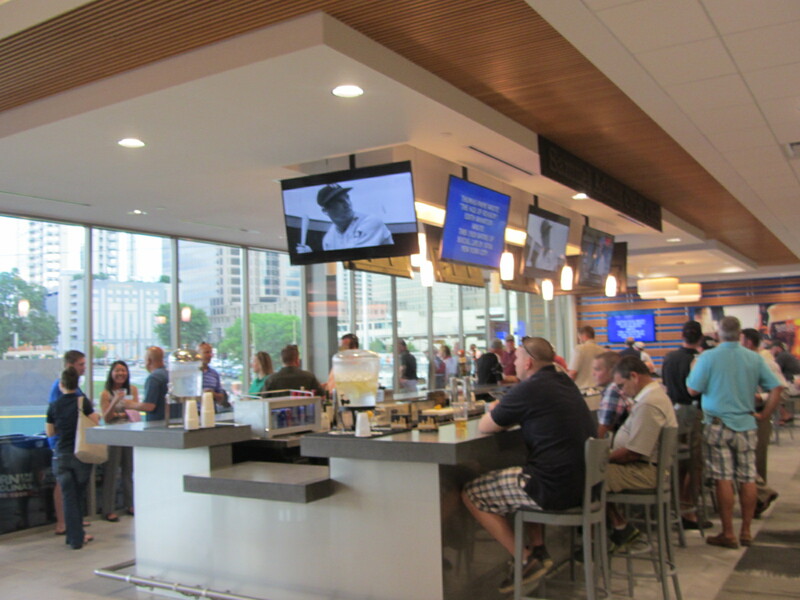 On the whole, the Knights have taken a “fresh and local” approach to their concessions. 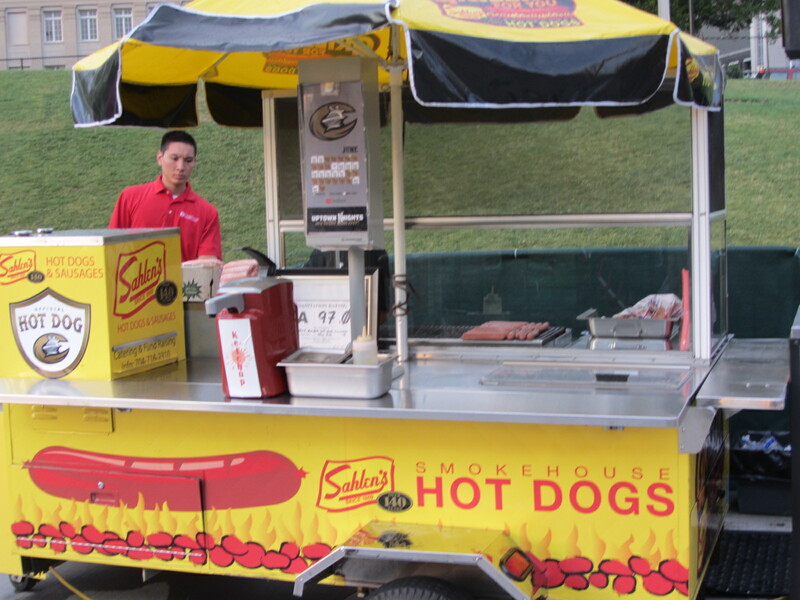 One notable exception is that the team chose Buffalo-based Sahlen’s as the official hot dog provider. 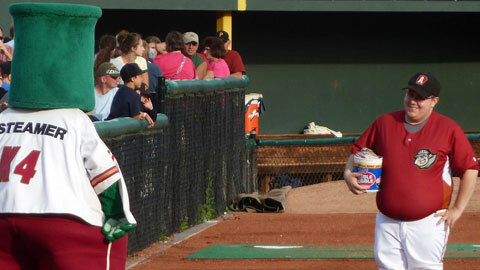 Tommy said that the front office taste-tested dozens of varieties, and simply decided that Sahlen’s was the superior product. 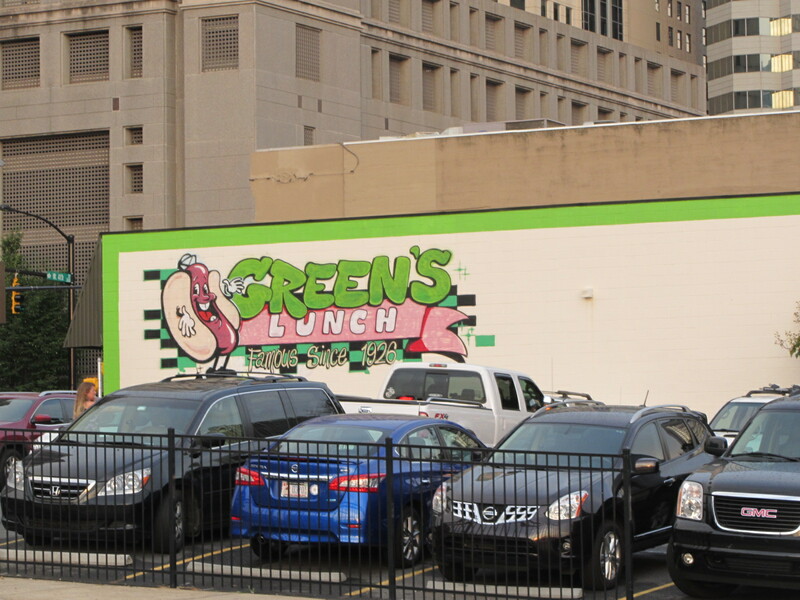 Some fans get their hot dog fix before the game, however, as 88-year-old Green’s Lunch is located across the street from the stadium. 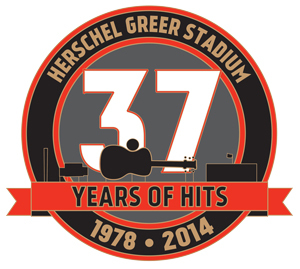 This iconic establishment has extended its hours in conjunction with the Knights’ home schedule. In perusing Green’s menu, I noticed that they serve “livermush” as one of their breakfast side dishes. 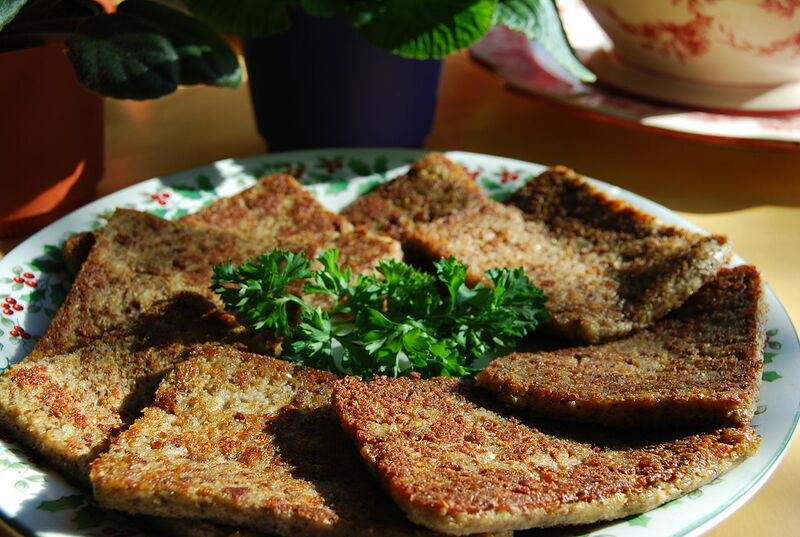 I had never heard of livermush, but it’s the scrapple of the south! Pig liver, head parts and cornmeal never looked so good. 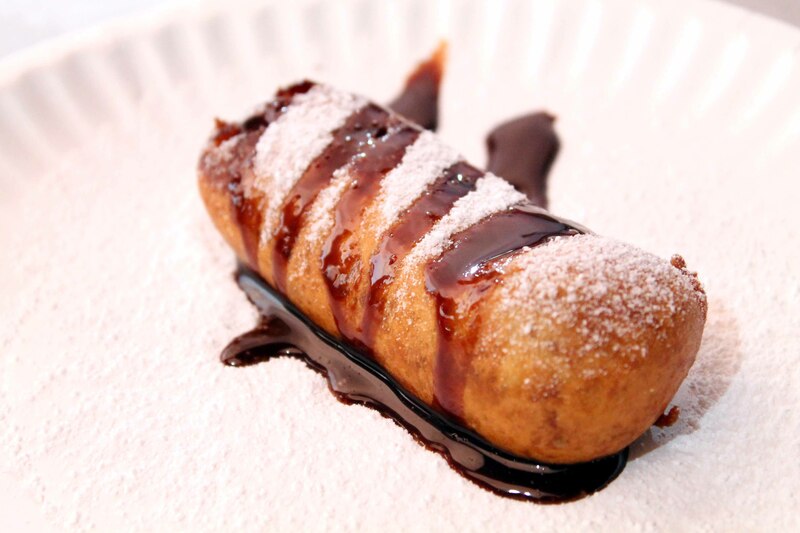 I would eat it, so long as it’s gluten free, and it just might be! 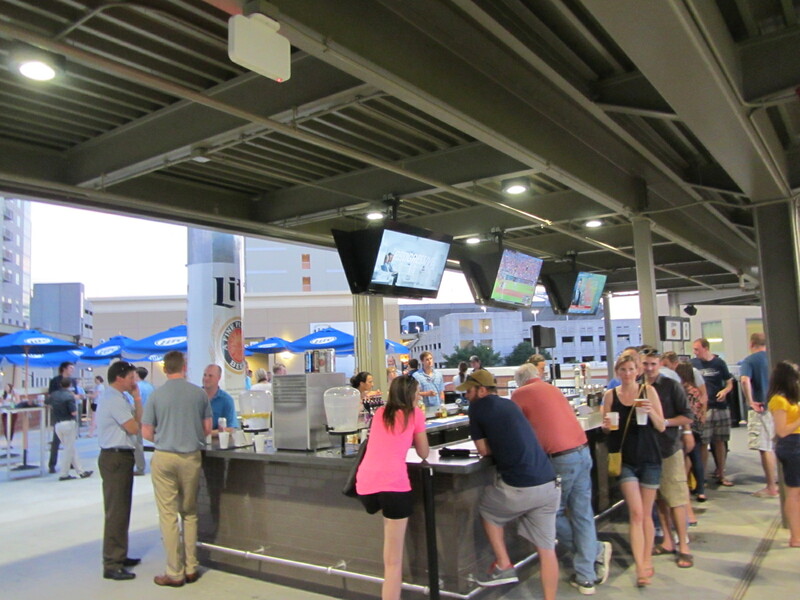 This is the “Home Run Porch,” a $10 standing room only area that has proven to be very popular in the early going (especially with the younger, Thirsty Thursday kind of crowd). 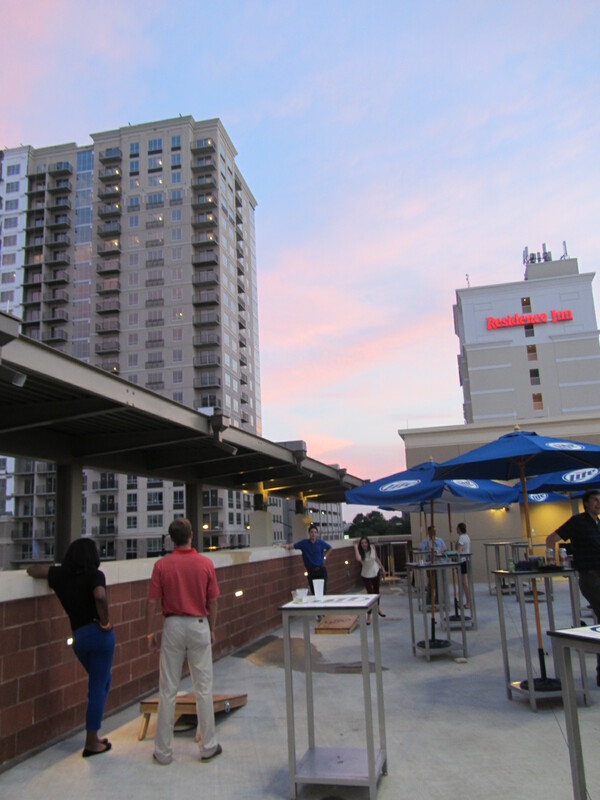 The Home Run Porch is a great place to watch the Charlotte sunset. 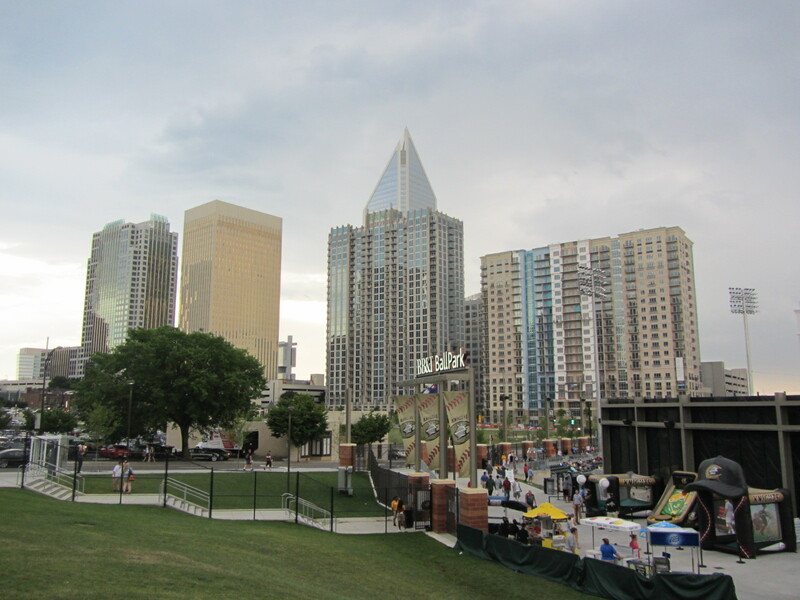 Turning in the other direction, one finds Romare Bearden Park. 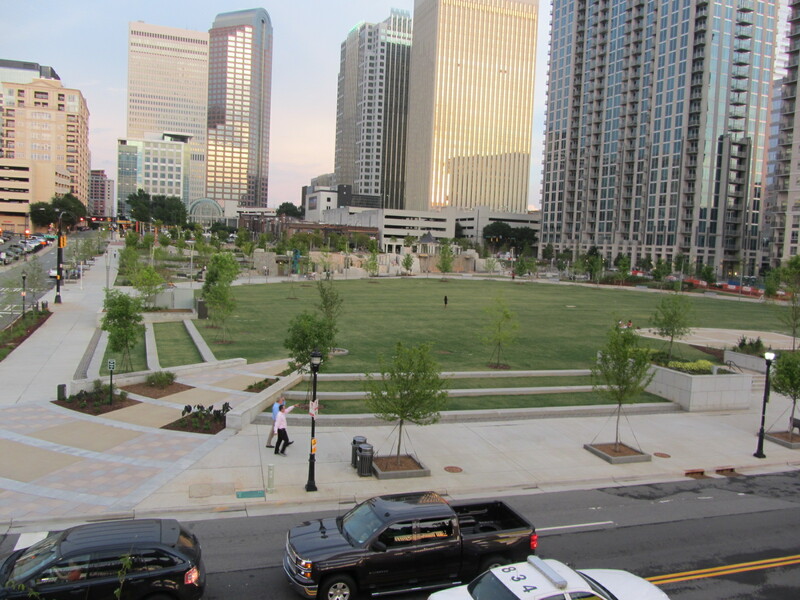 Named after the celebrated artist, this picturesque public space opened last year. 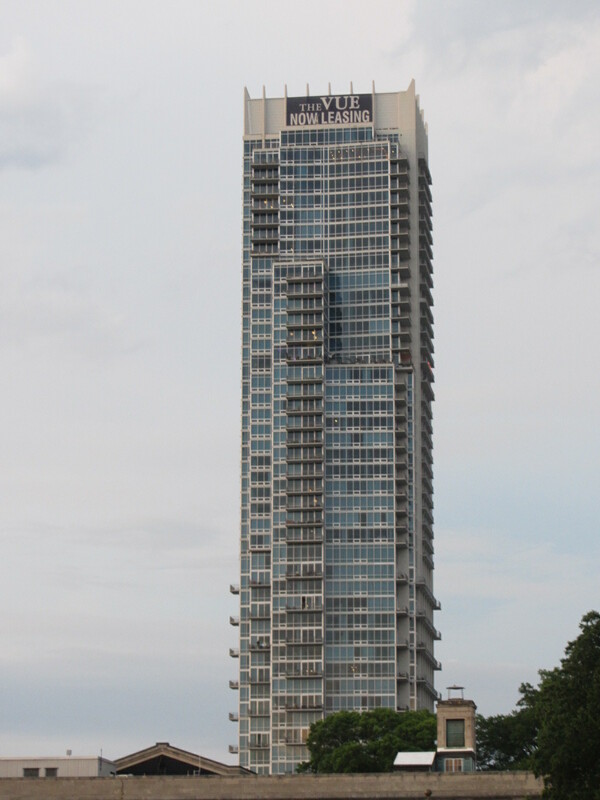 One can also see new apartment complexes, such as The Vue. 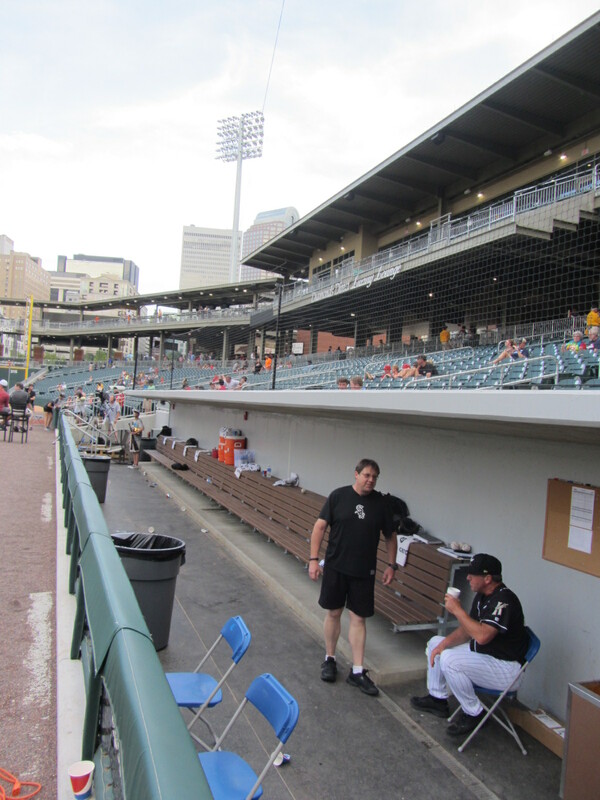 While on the Home Run Porch, I spoke for a few minutes with Knights vice-president Dan Rajkowski. 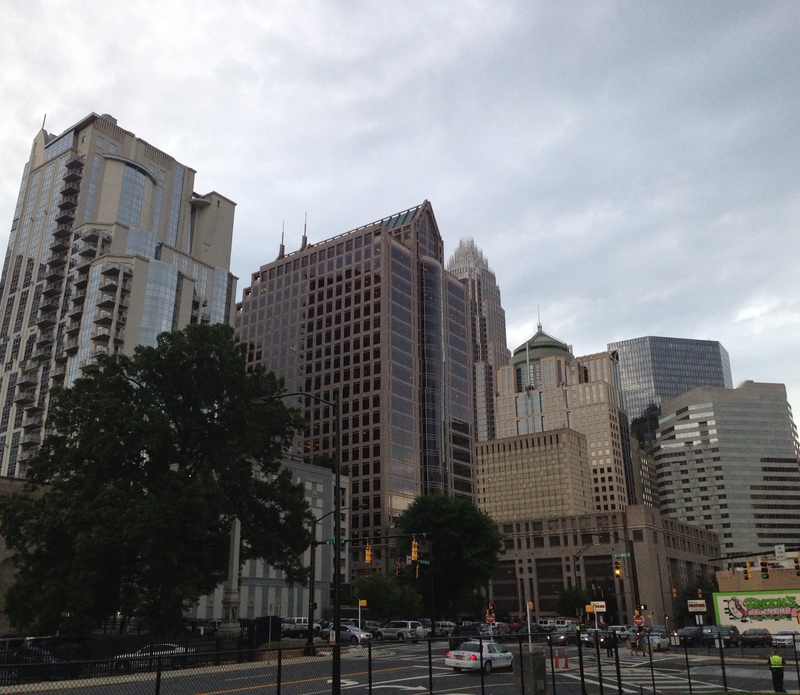 He said that buildings such as The Vue are becoming commonplace in uptown Charlotte, and he expect to see another 1500 units built within the next year. 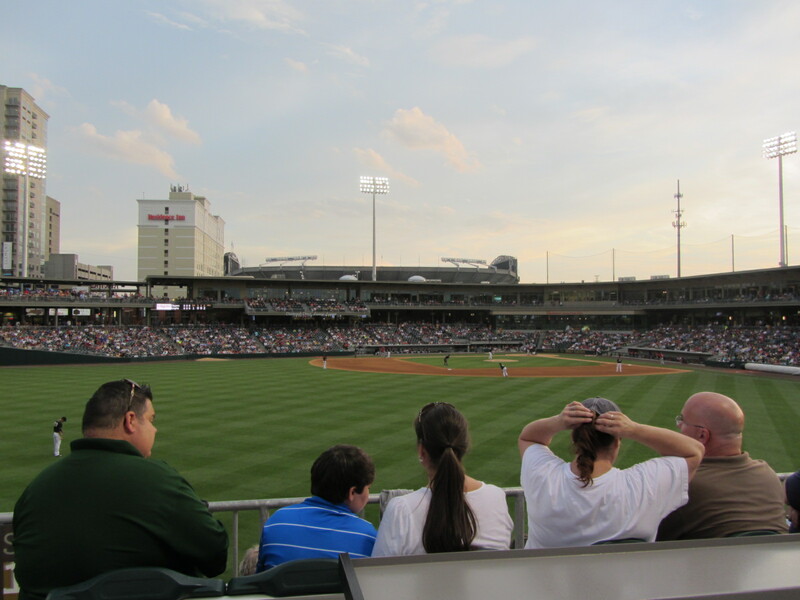 The Knights plan to capitalize on their existence within this booming part of town by staging outside sporting events, festivals and concerts. 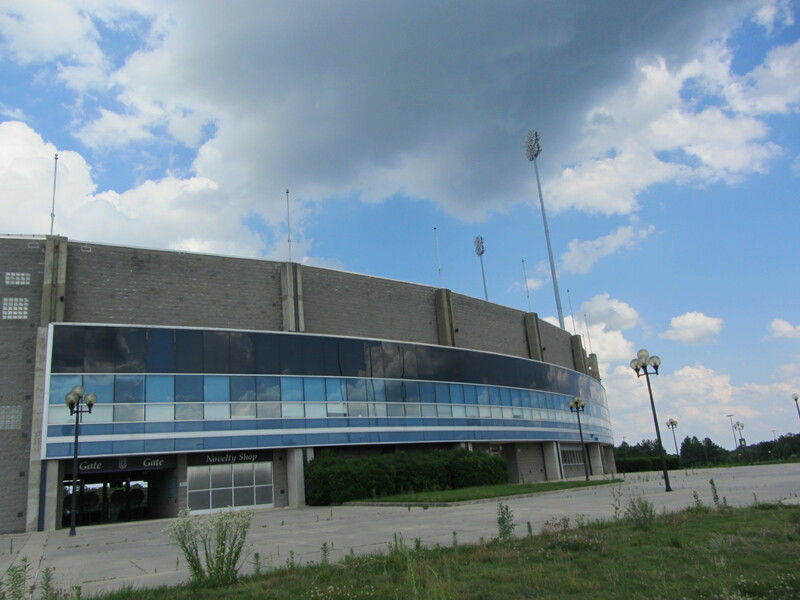 There are also plans to develop a portion of what is now a massive berm seating area, adding a hotel and office buildings. 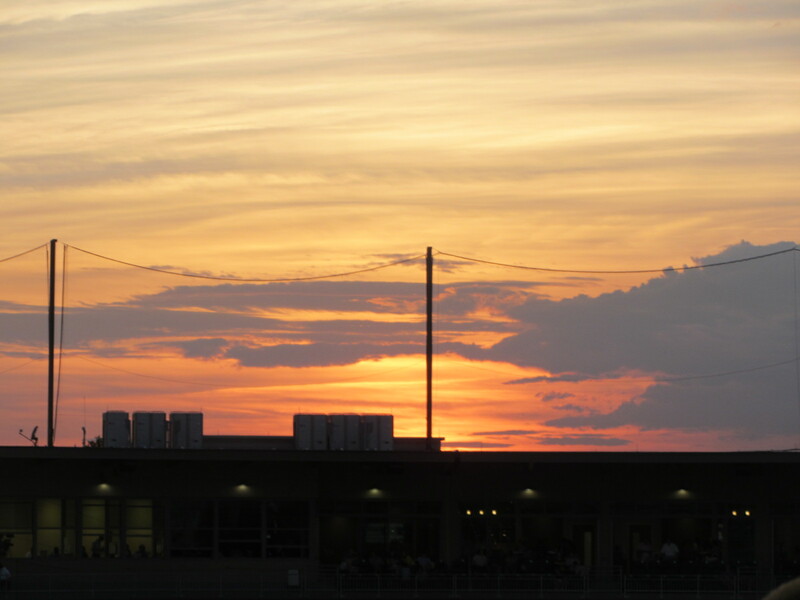 From the Home Run Porch, we made our way back to the press box. 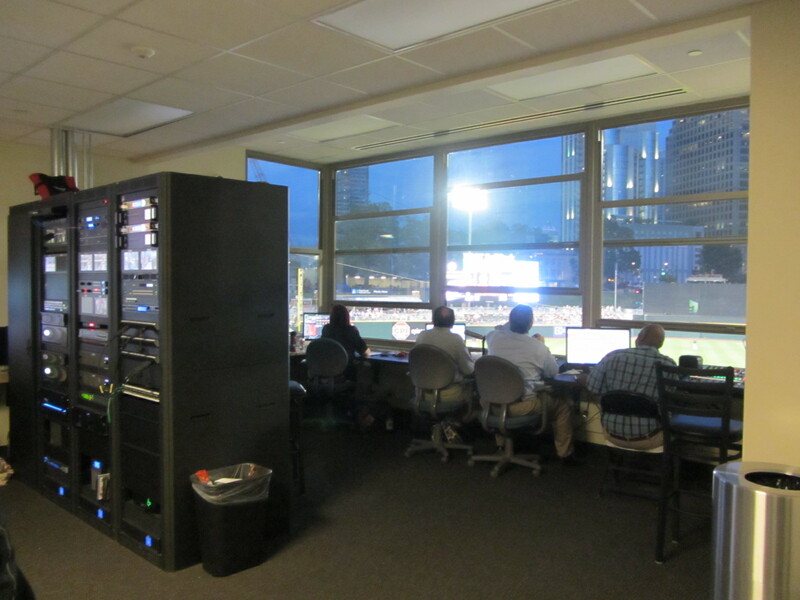 I can’t remember why we went to the press box, but while there I poked my head into the Knights’ control room. 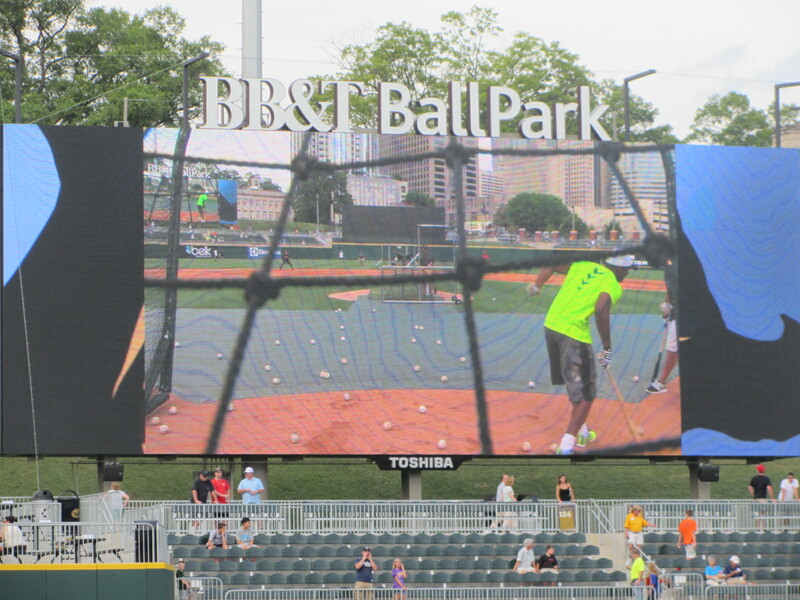 It takes a lot of manpower to run the widest scoreboard in Minor League Baseball! Tommy and I then made a cameo at the Dugout Suites, a group area that is closer to home plate than the pitcher is. Homer quickly became a good friend of mine. 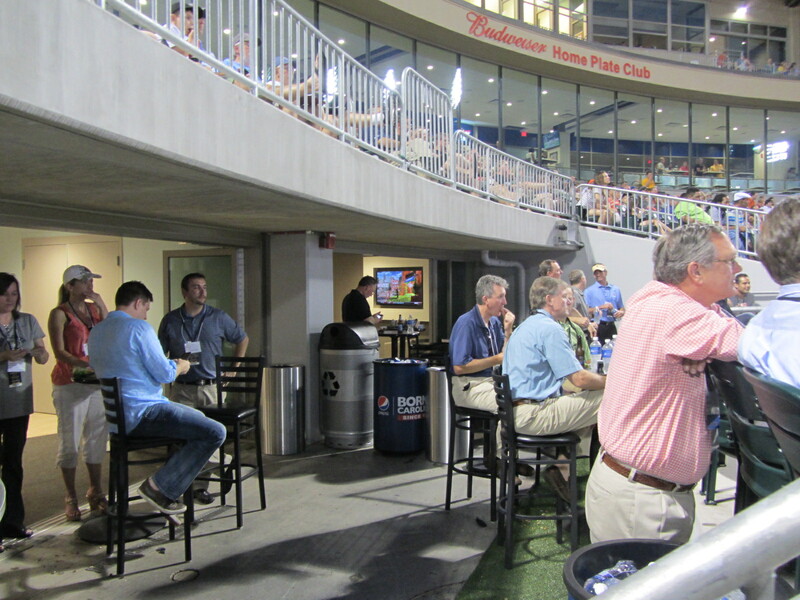 The Dugout Suites offer remarkable access to the dugouts themselves. This picture, I just like it. I had to leave the Dugout Suites, as an indistinct yet unavoidable destiny awaited. 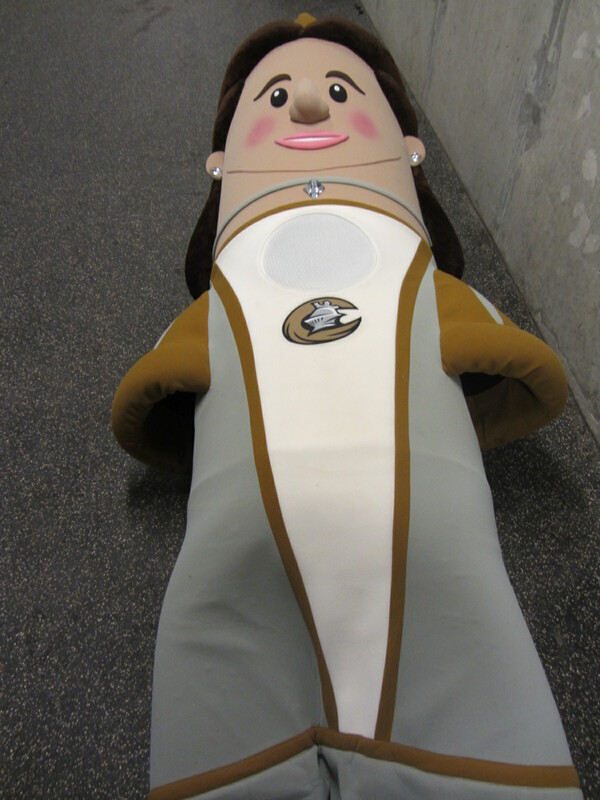 In the nightly “Royalty Race,” I was to be the Queen (Charlotte is the Queen city, after all). My opponents were Jerry the Jester and King Meck. It can be hard to get into these costumes. 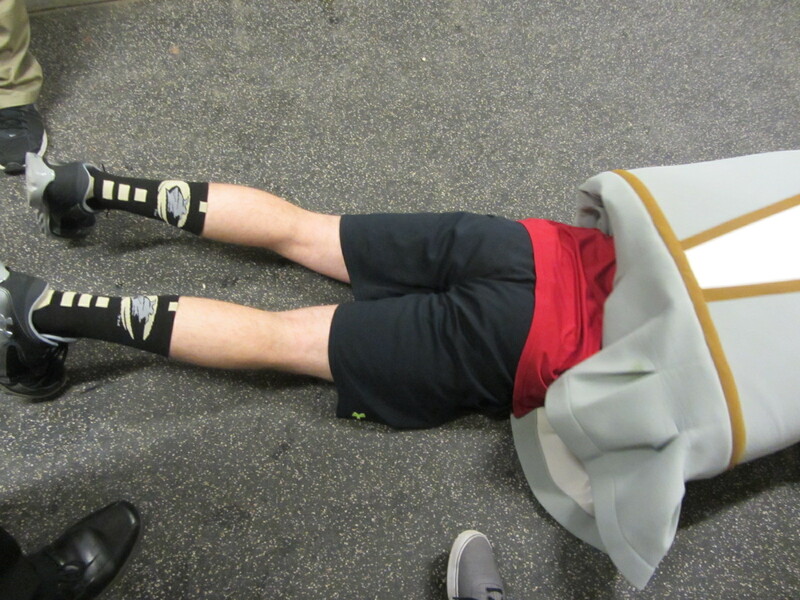 We had some downtime before the race was to begin, and I wanted to delay my entry into that MRI-like costume for as long as possible. 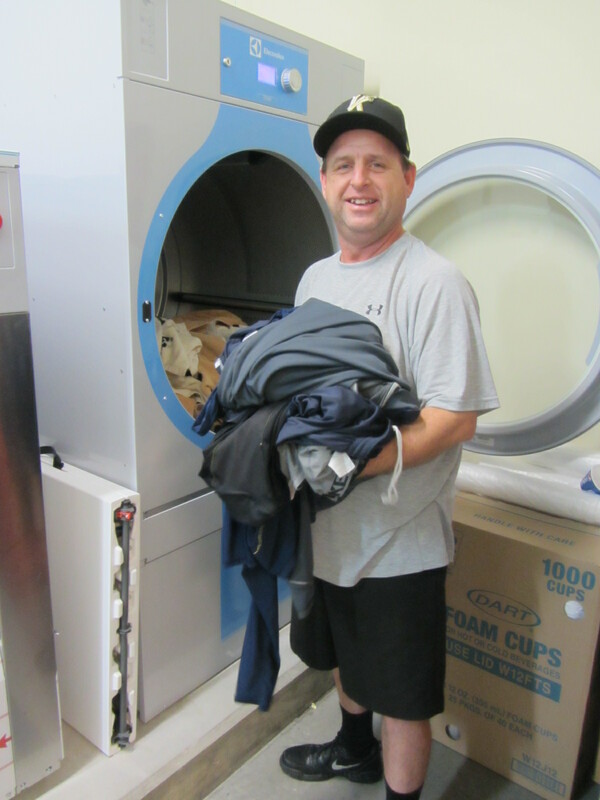 Tommy and I wandered down the hall, so that I could interview veteran visiting clubhouse manager Eddie Waddell. 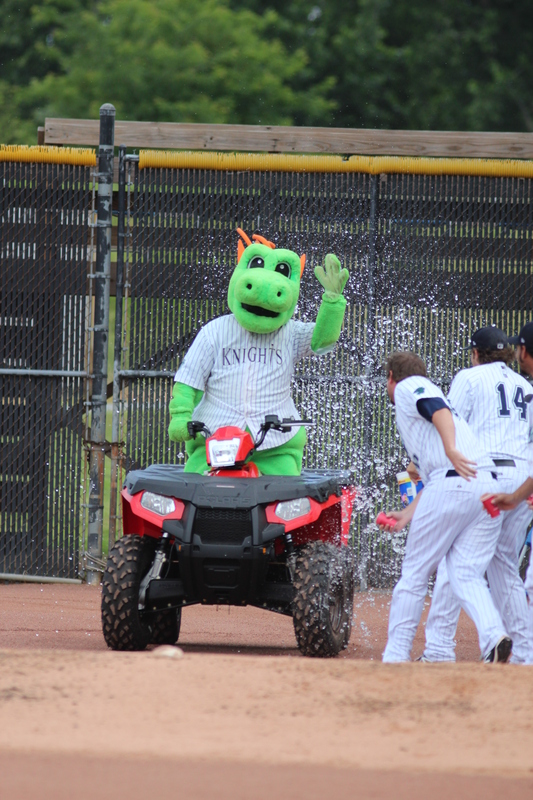 He’s been with the Knights since the 1980s, and my story on him is HERE. After wrapping things up with Eddie, I maneuvered my way into the Queen outfit and triumphantly ran to victory. (Is there any other way to run to victory?) However, the photos from this riveting competition are momentarily unavailable. We’ll just have to move on without them. Again, just know that I won. I, too, had brought in a local. 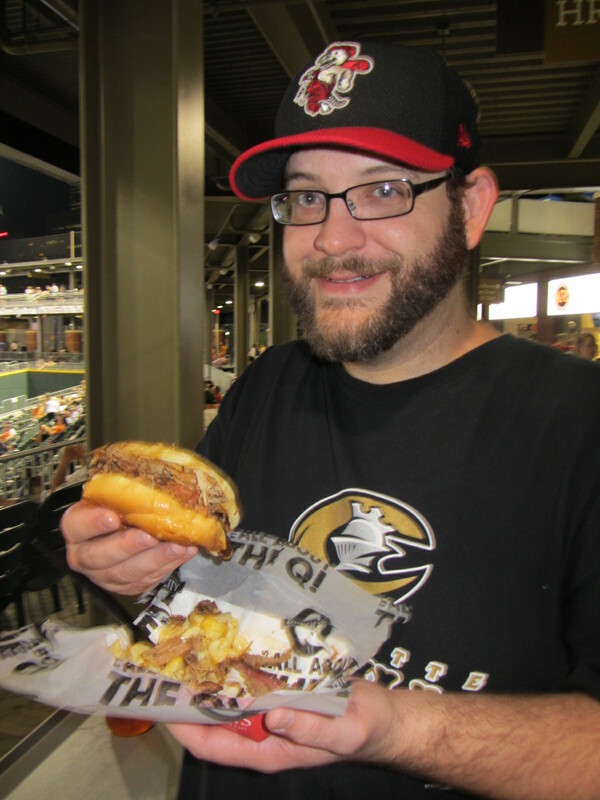 Meet Matt Campbell, the evening’s designated eater (you know, the individual recruited to eat the ballpark food that my gluten-free diet prohibits). 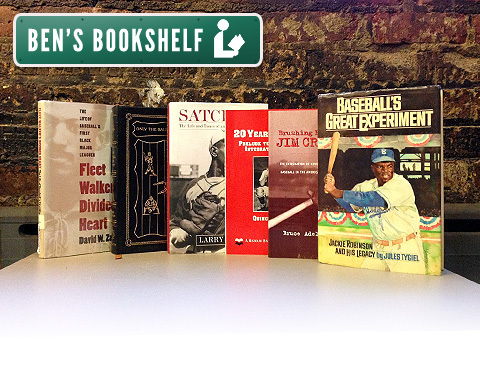 Matt’s been a loyal reader of this blog for many years, which I greatly appreciate. If Matt looks familiar, it’s because he’s been on this blog before (or maybe because you’re married to him). 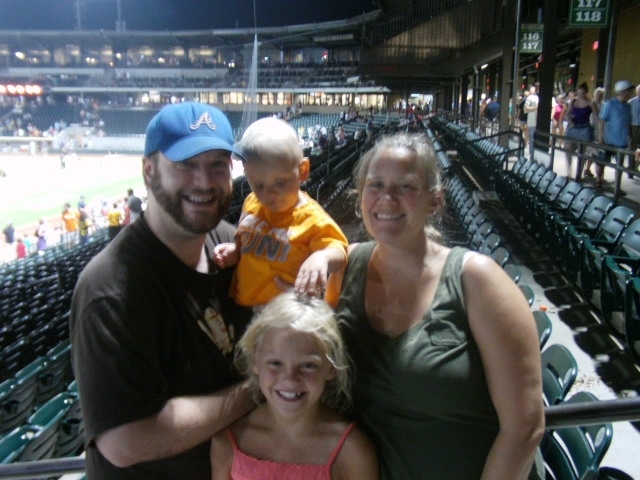 In 2011 he and his family visited me when I was in Winston-Salem to see the Dash. But at this juncture of this particular evening, Matt was solo. 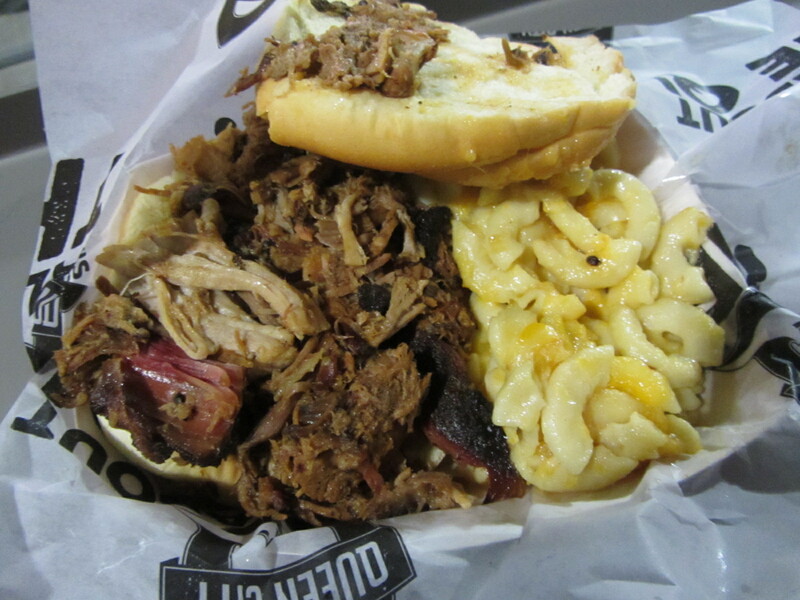 He was enthusiastic about the Queen City Cue, saying that it was legit Carolinas-style BBQ and his meal of choice prior to attending Charlotte Checkers games. 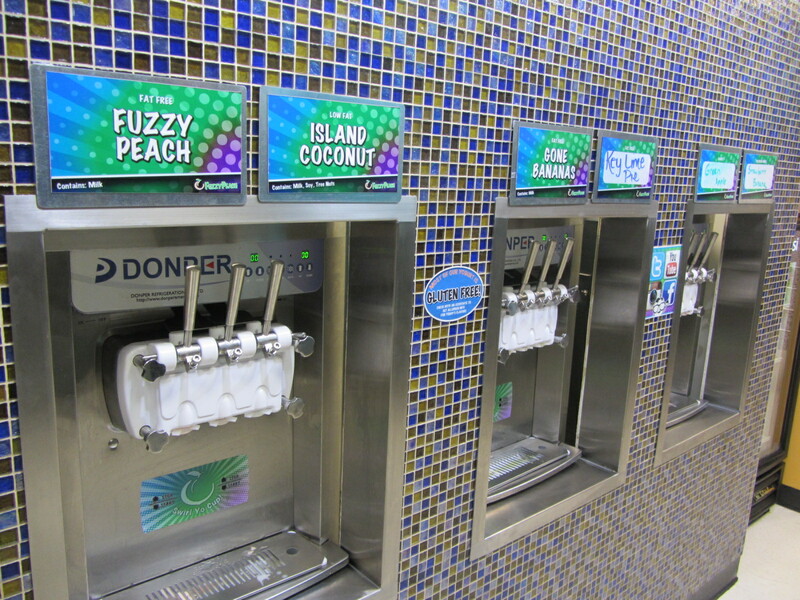 While Matt was pontificating about BBQ supremacy, Tommy and I ducked into the on-site Fuzzy Peach (frozen yogurt) store. 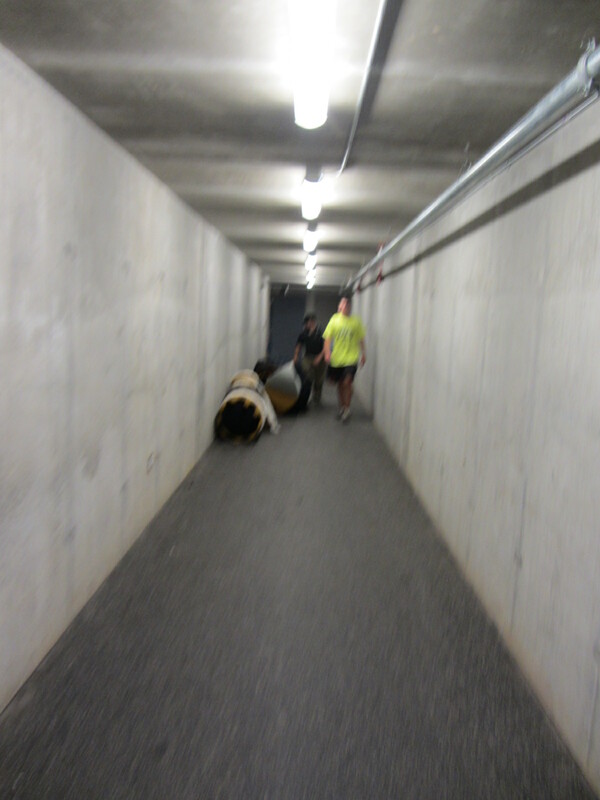 There is an entrance from the street, and this place is open whether the Knights are playing or not. 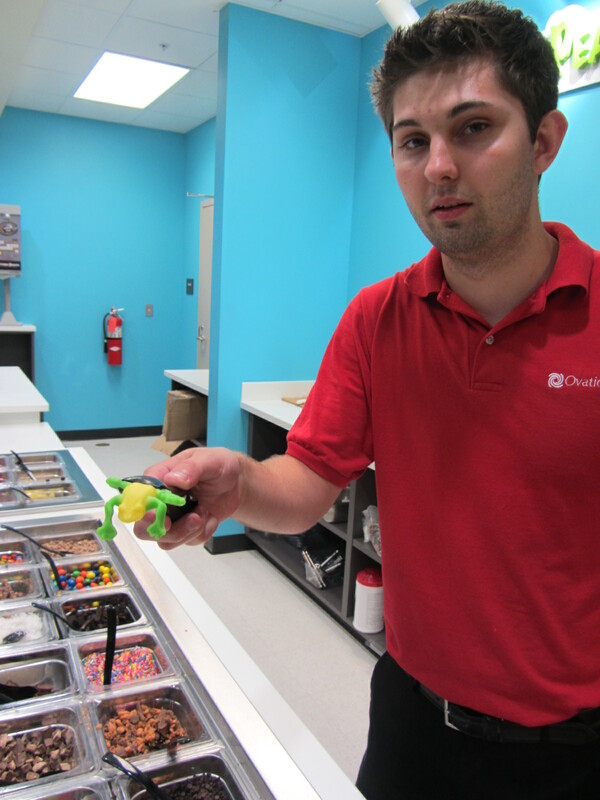 No matter what flavor of frozen yogurt you go for, make sure to top it with a Gummi frog. Don’t forget, there was a game going on through all of this. 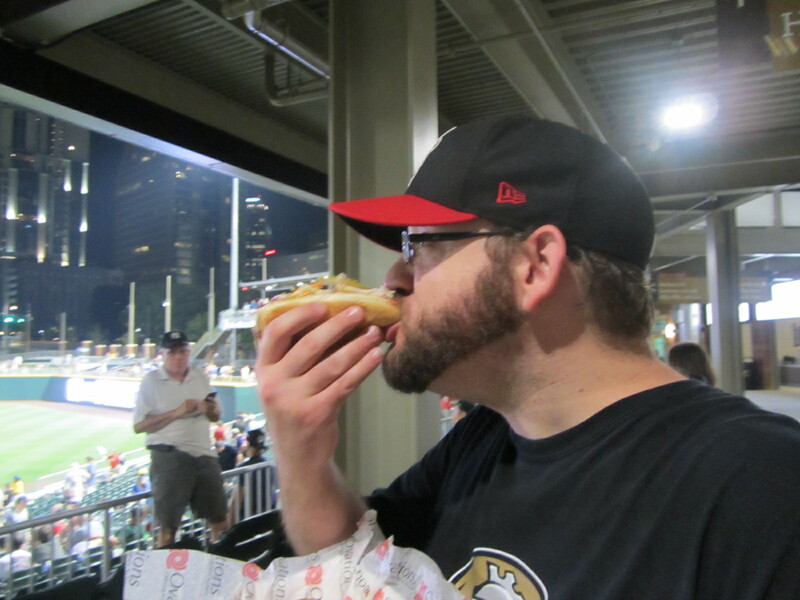 But I had to check on Matt, who now had a hot dog in his hand. Not just any dog, but the Carolina Dog. It was topped with chili and cole slaw. And that’s all I’ve got from Matt. 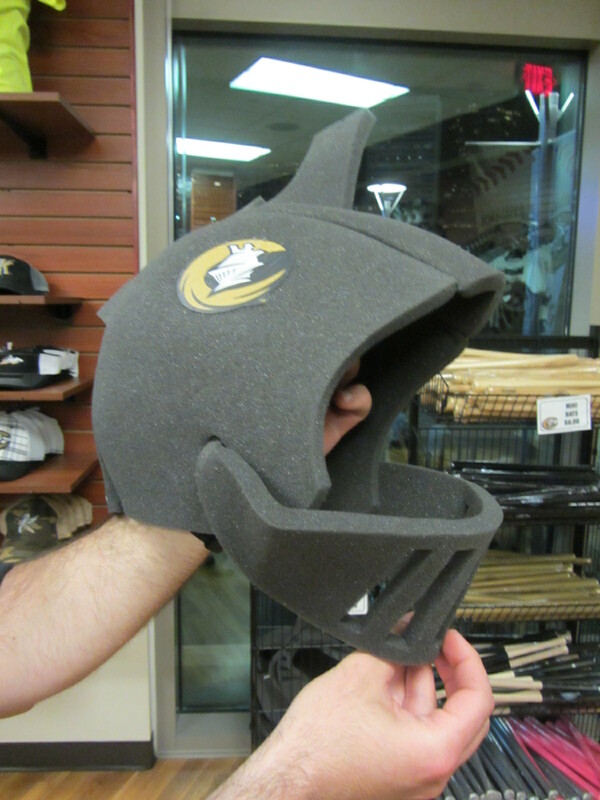 Tommy and I continued on to the team store, were one can buy a foam helmet if one so desires. 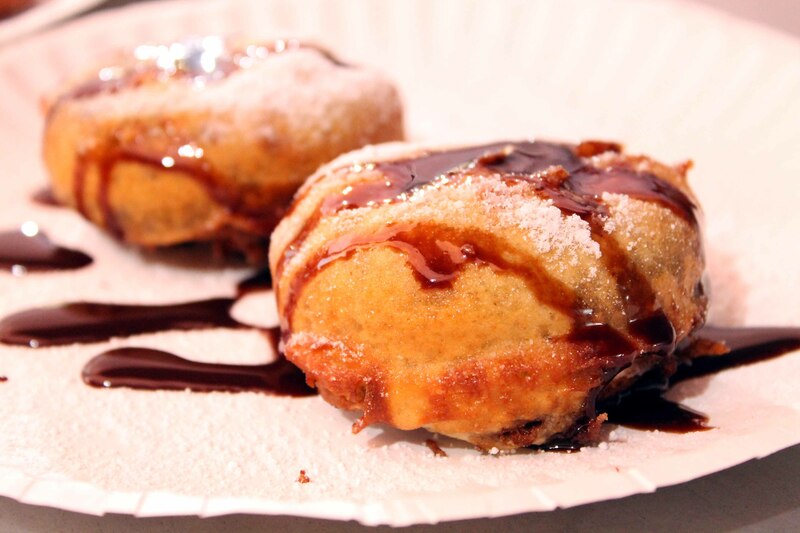 These are popular with the Thirsty Thursday crowd. 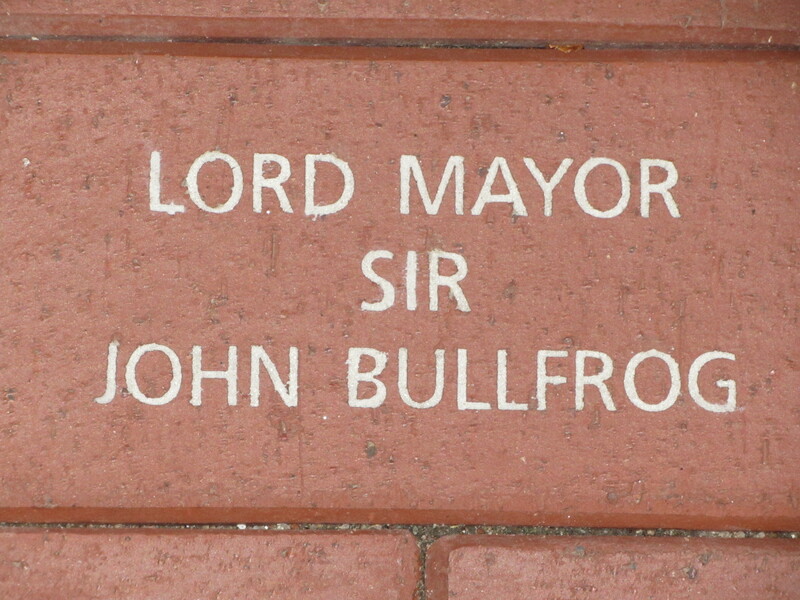 We then stepped outside to check out the commemorative bricks, which are still available for purchase. (For $90 or $150, depending on the size). 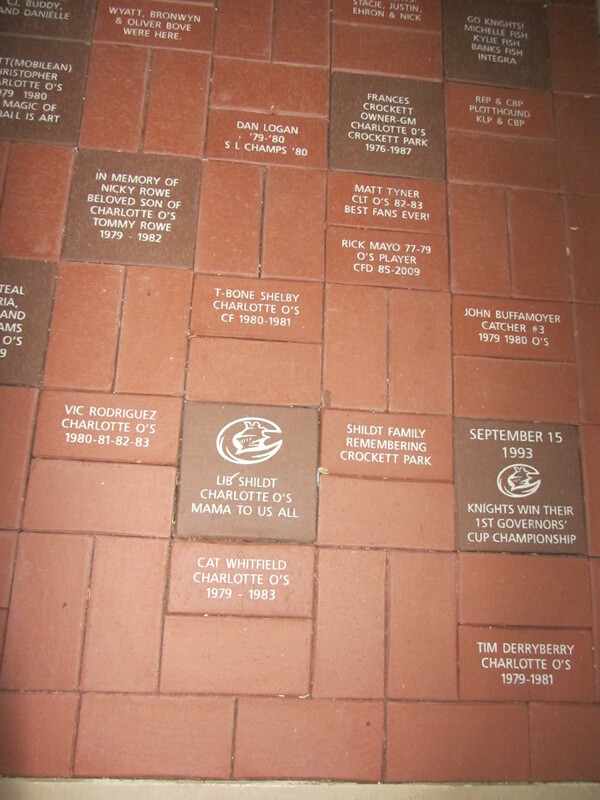 “There are so many stories in these bricks,” said Tommy. And who can ever forget this guy? Hey, look! 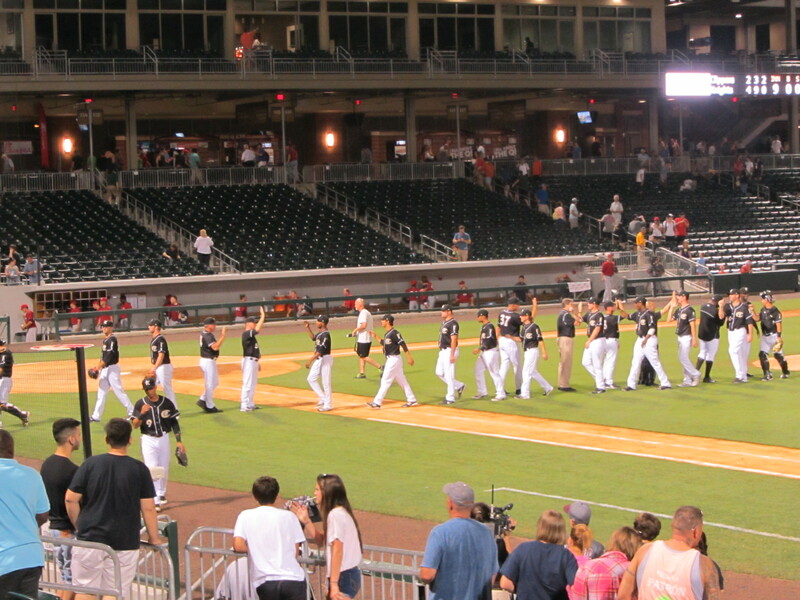 The Knights won! 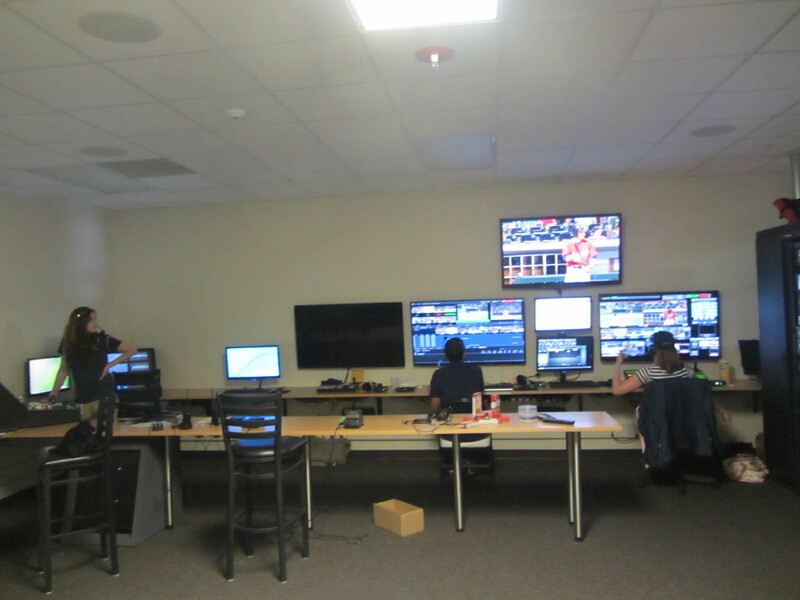 I saw about two and a half minutes of the ballgame, at three-to-five second intervals throughout the evening. 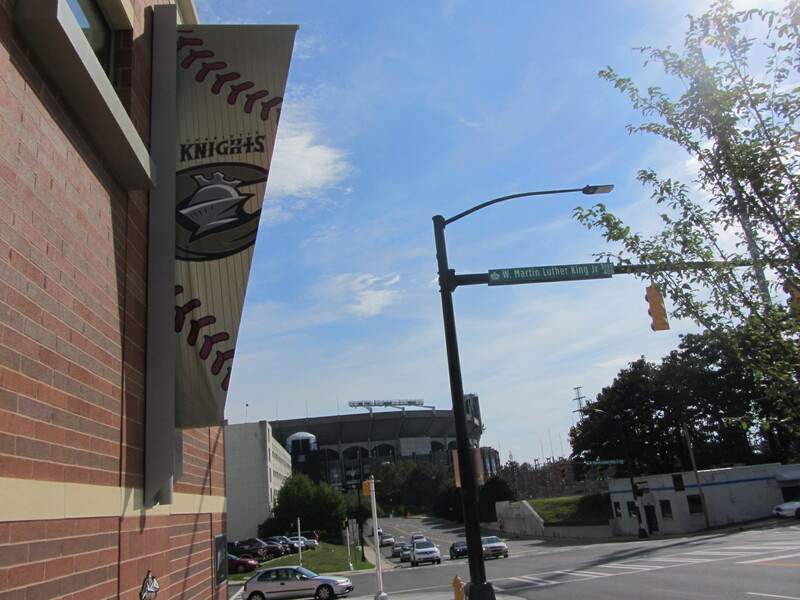 I actually attended the next afternoon’s game as well, and also made a pit stop at the team’s old home of Knights Stadium. 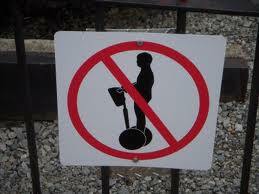 But I might not have time to get to that, at least not in the immediate future. Just remind me that I owe you guys and gals (women read this, right?) another post from Charlotte. 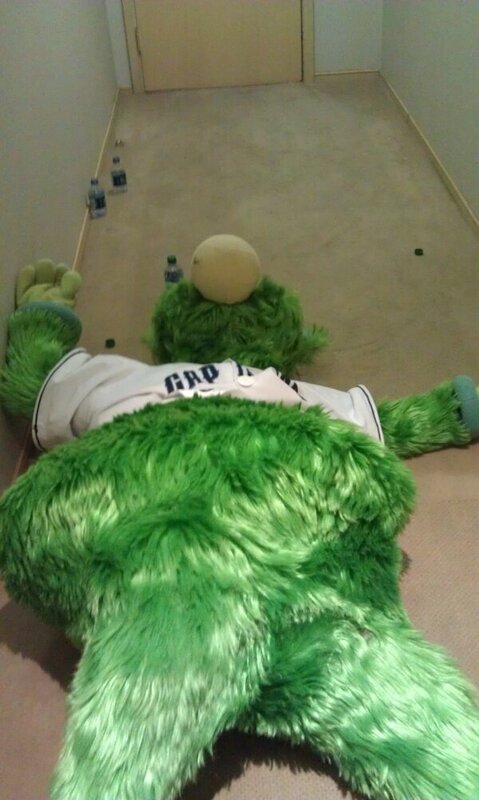 The 2013 Minor League season is dead. 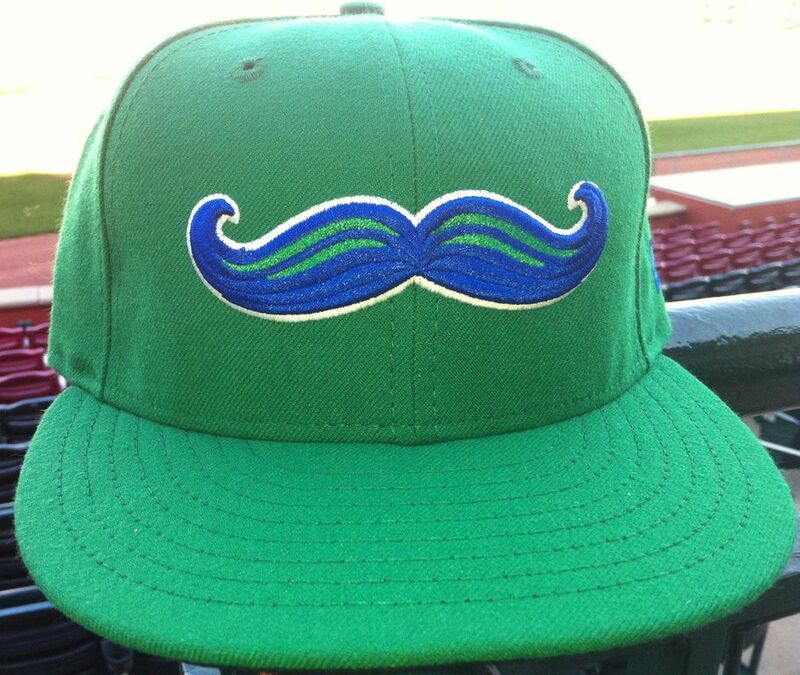 Long live the 2013 Minor League season. What that sentiment in mind, today’s post will yet again feature interesting in-season content that I wasn’t able to get to during the season itself. 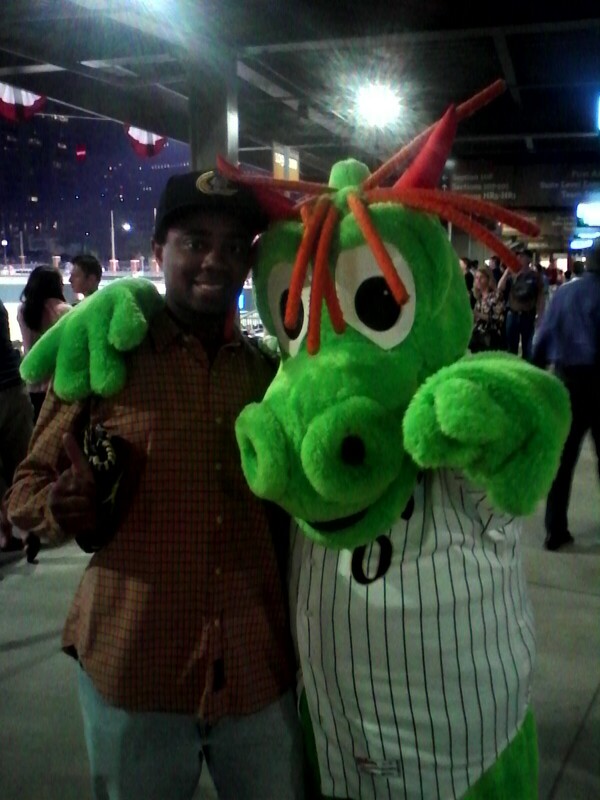 And, more specifically, today’s post will begin with the Charlotte Knights. 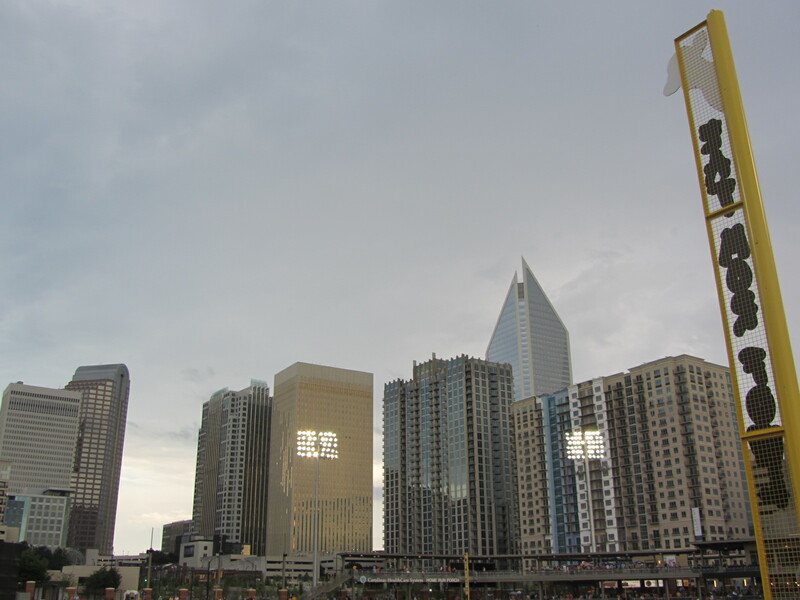 As you are probably aware the 2013 campaign was a significant one for the Knights, as it marked their last in Knights Stadium (also known as “The Castle”) before moving into a new stadium in downtown Charlotte proper. 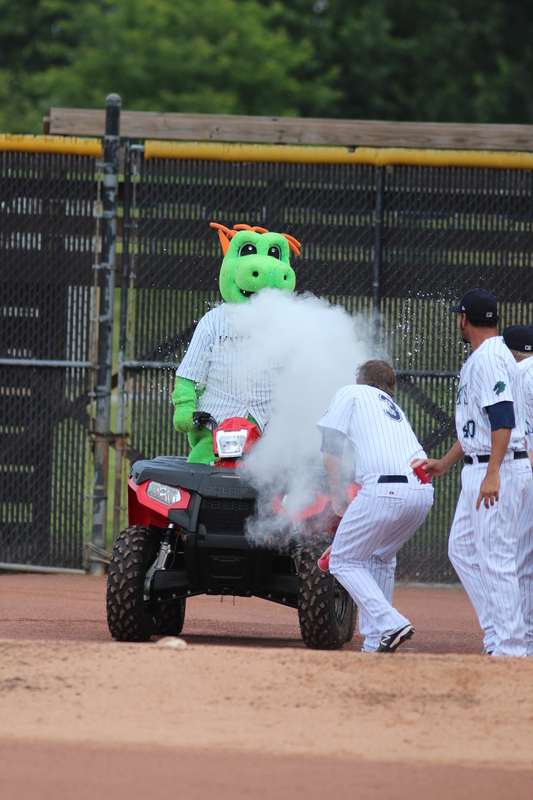 But historic final season or not, there was still plenty of time for the bullpen to antagonize the team’s ATV-adept mascot, Homer. The following slew of photos — yes, a slew! — should make that clear. 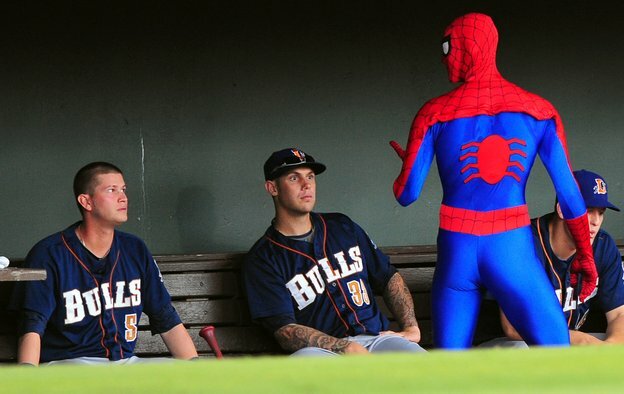 In fact, this photo slew is so good that it should be made into a flipbook giveaway item for 2014. 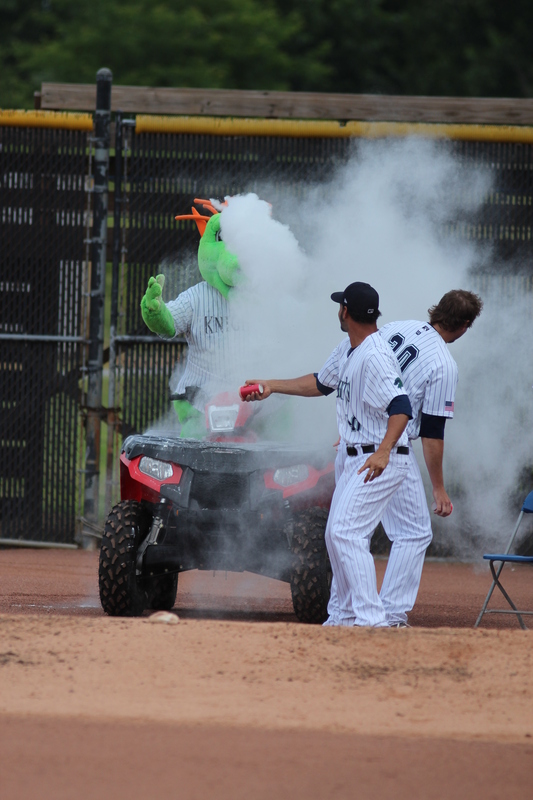 So, to recap: I, an ostensibly grown man, am posting pictures of grown men who make a living playing a child’s game acting like children by dousing a grown man in a dragon suit with water and baby powder. 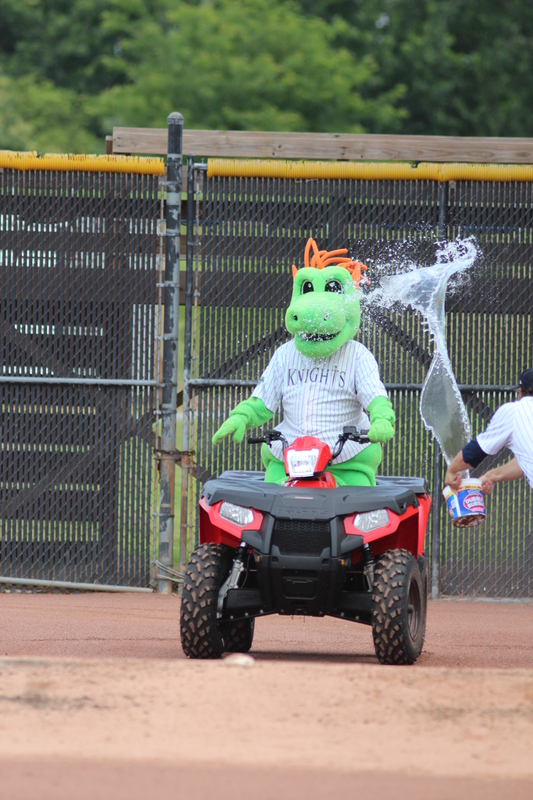 So, with that said, let’s move on to more of the same: more Charlotte Knights’ tomfoolery. On June 15 the team staged a “Dairy Night” promotion, and the highlight (?) of this endeavor was an on-field milking contest between Jhan Carlos Marinez and Jason Berken. 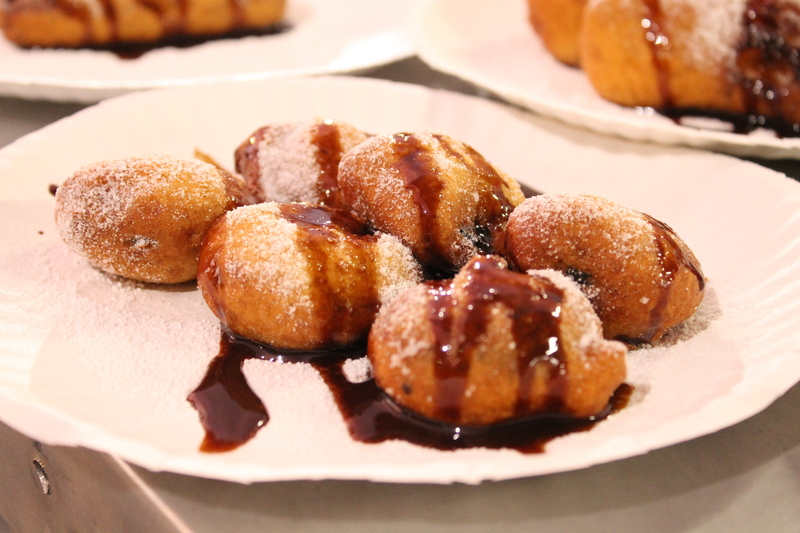 Click HERE for a full photo gallery, but in the meantime here’s a representative picture. 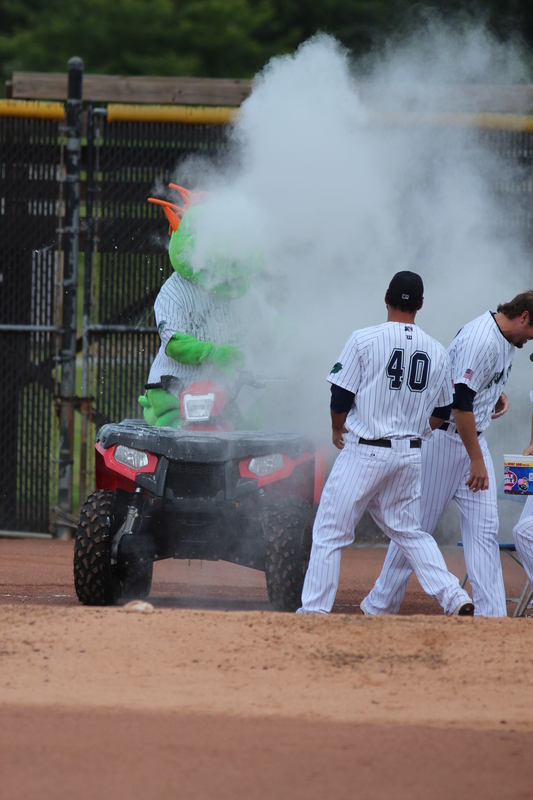 But, of course, cow milking contests take place at all levels of the Minors — from Triple-A to Rookie ball. 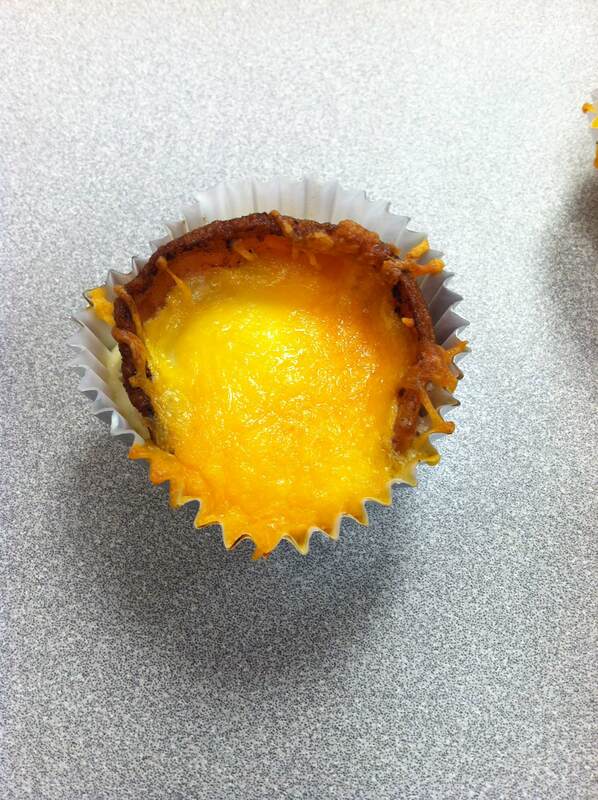 For an example of the latter, there’s this from Elizabethton. That picture features second baseman Brian Dozier, who is now on the Minnesota Twins, so something tells me that that photo might be a few years old. But, whatever, the team sent it along with their press release so that makes it new enough for me. And wouldn’t it be great if the above photo featured a male cow? 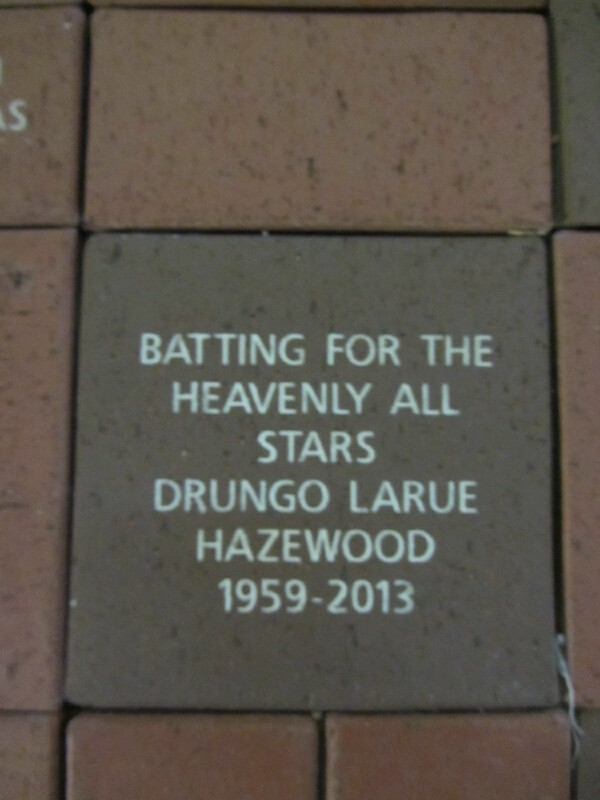 Then I could have captioned it “bull, Dozier,” and accolades would have ensued. 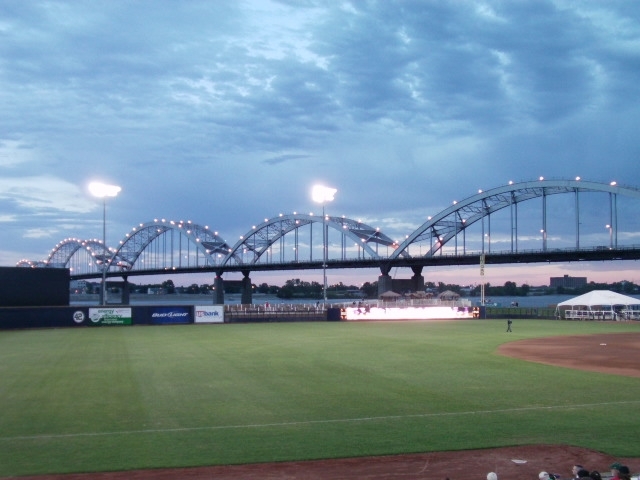 Speaking of animals on the ball field — Rosenblatt Stadium, the long time home of both the Omaha Royals and College World Series, is now the home of Omaha’s Henry Doorly Zoo and Aquarium. 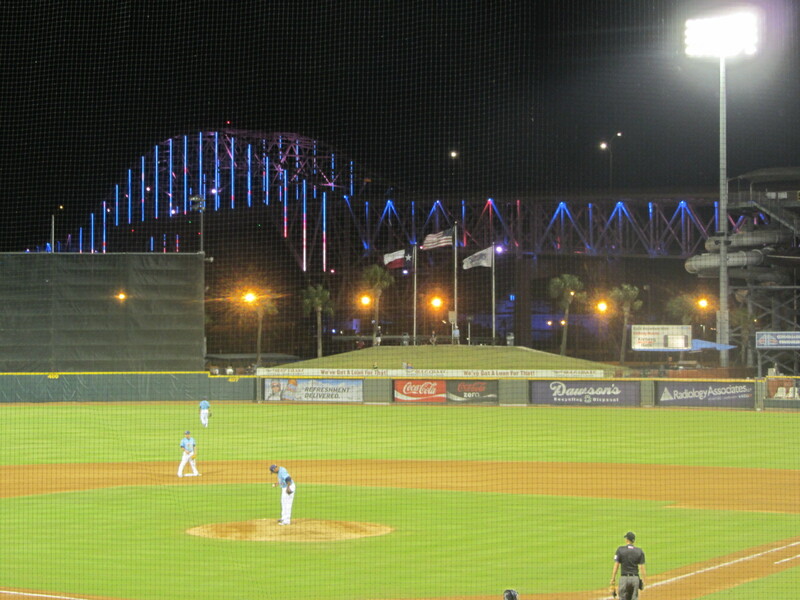 The zoo has incorporated elements of the old ball field into its design, and all in all it looks pretty cool. And that’s all there ever was, is, or will be from this particular dispatch. Thanks for reading. 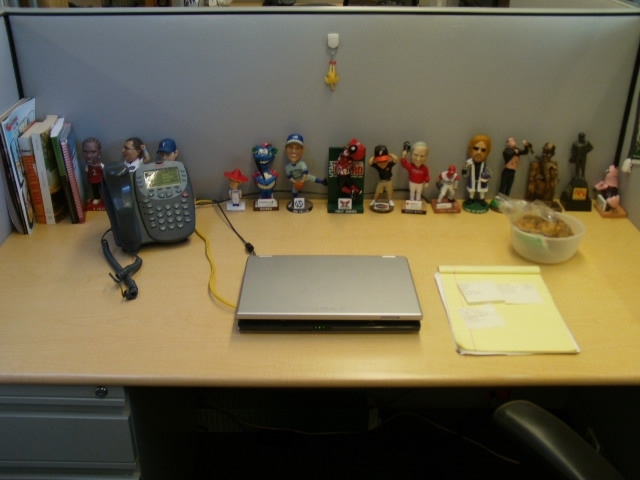 Monday marked the first work day in which MiLB.com headquarters (located in Manhattan’s Chelsea neighborhood) was back up and running after the superstorm, and it took me not having access to this place to realize just how much I missed it. All of my friends are okay. 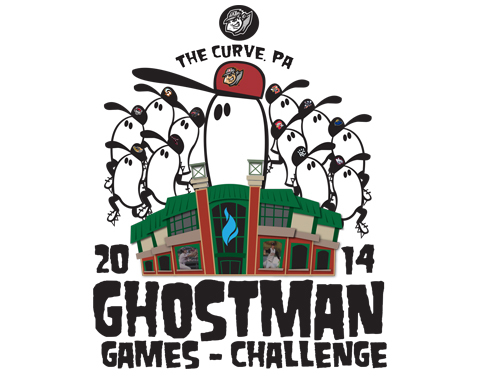 In case you didn’t read my MiLB.com dispatches, two teams have recently unveiled a new set of logos. 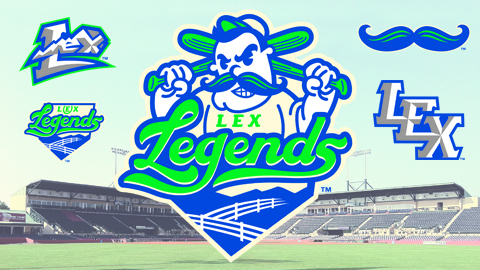 The Lexington Legends got quite a bit of play for their new look. 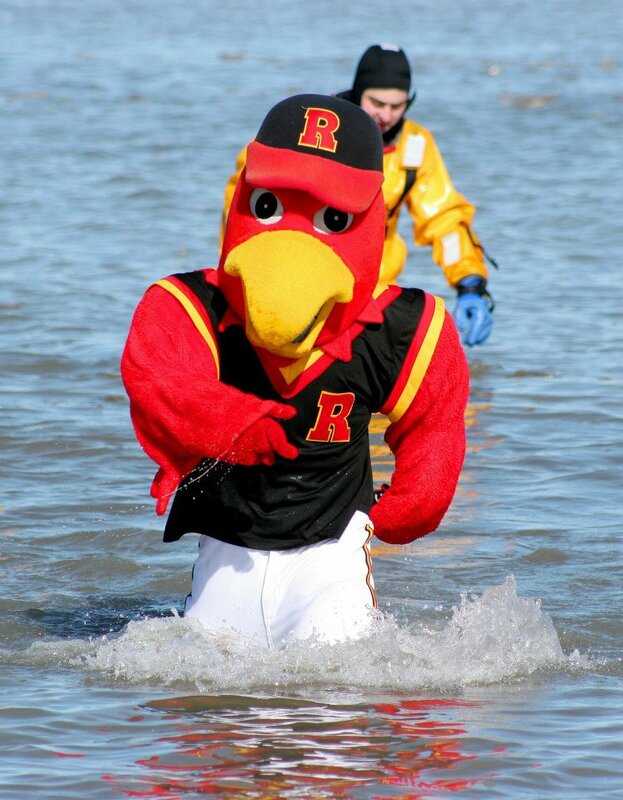 Not only did mascot Big L unveil the new look after rappelling down the side of a building, but the team’s new road cap features a mustache and nothing else. Crank up Sparks! 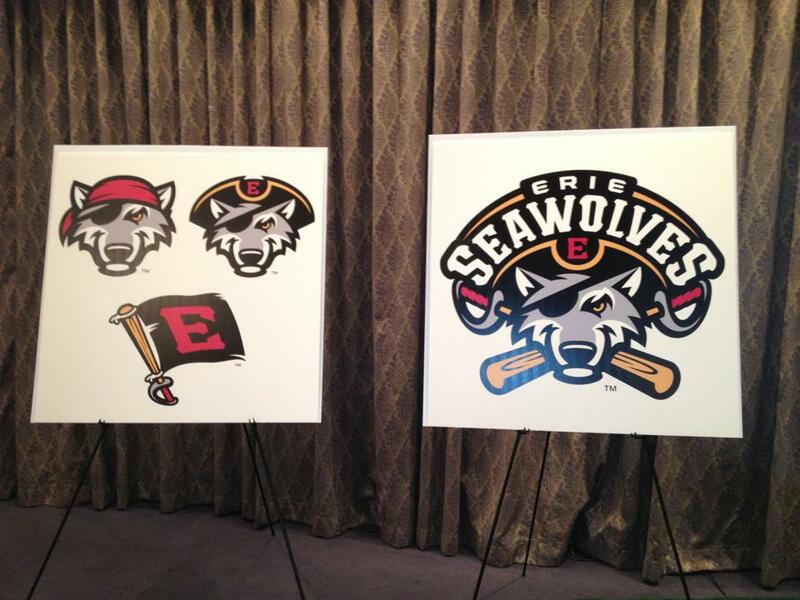 And then there were the Erie SeaWolves, who kept on keeping on with their canine pirate theme despite Erie’s distinct lack of mammalian buccaneer quadrupeds. I couldn’t help but notice that the eyepatch is now on the right eye, when it used to be on the left. What does it all mean?! So, yeah. Logos. 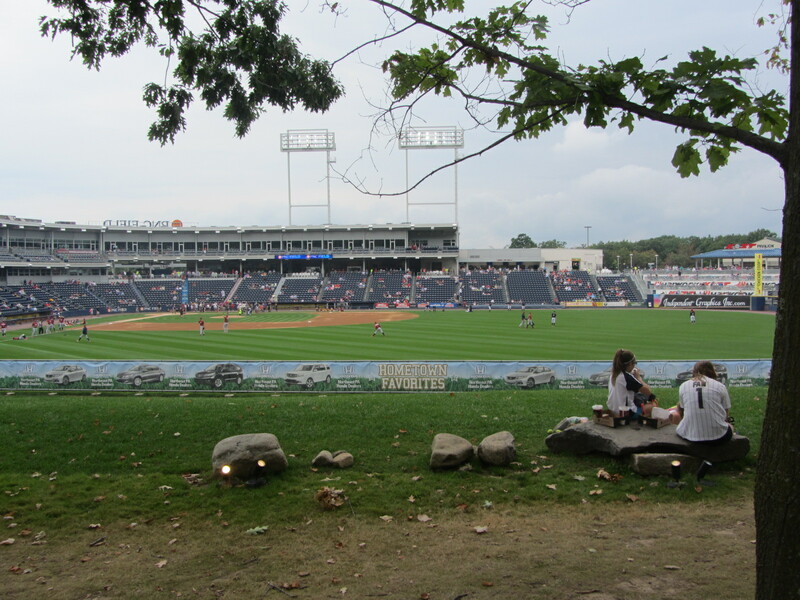 Next up on the unveiling front are the Hudson Valley Renegades on November 13th and then, one day later, the Reading Phillies. That latter case should be very interesting, as the R-Phils are changing their name and let’s just say the community isn’t reacting positively to that news in the early-going. 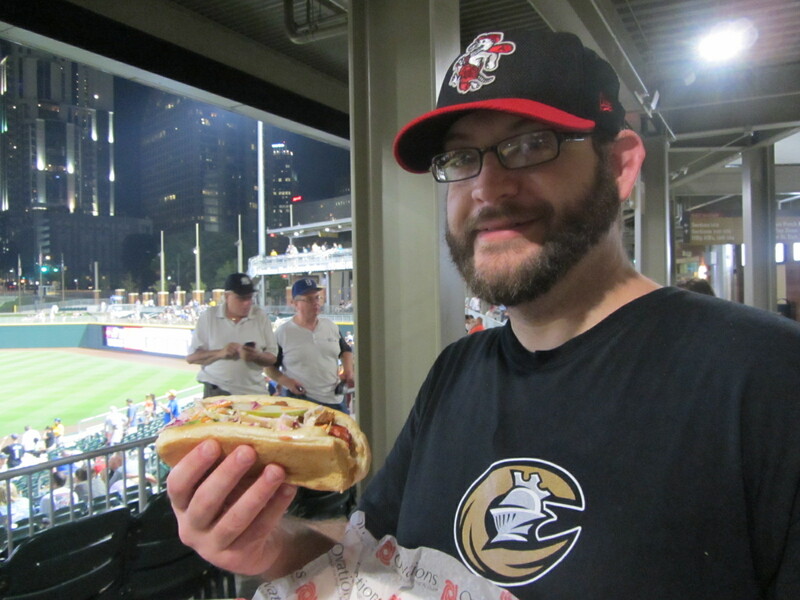 Speaking of the Reading Phillies, their former media relations director Tommy Viola is now with the Charlotte Knights. 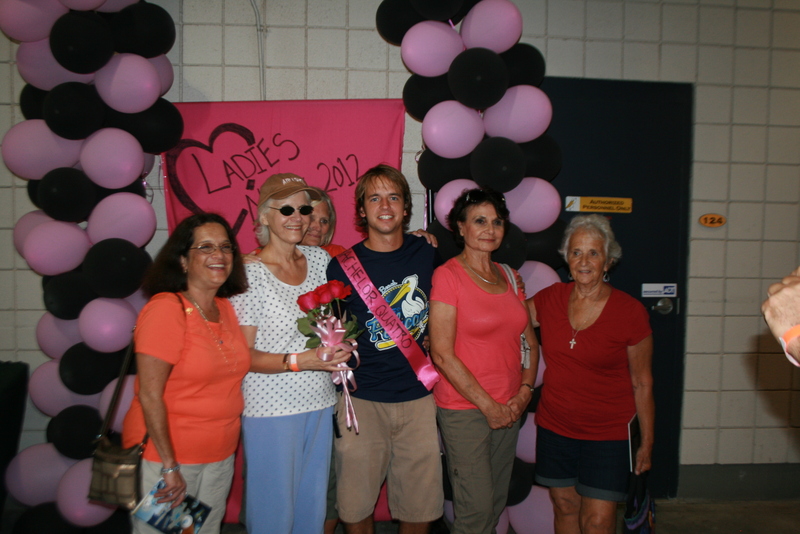 And last month in Charlotte love was in the air. 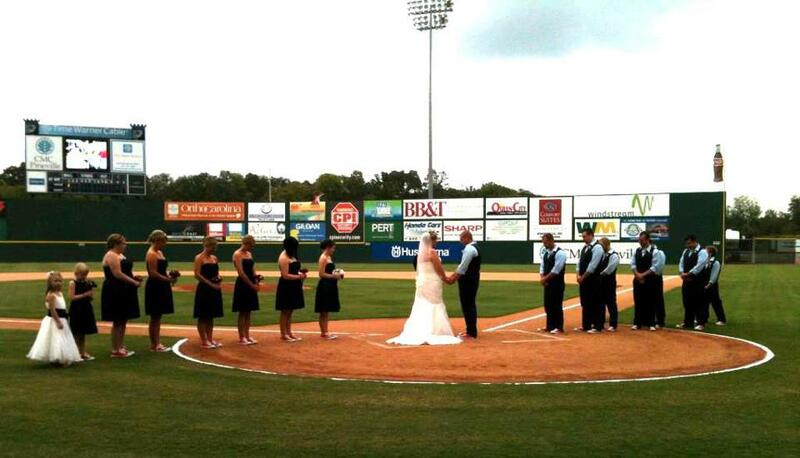 Ballpark wedding! But sometimes, one needs to destroy before they can grow. 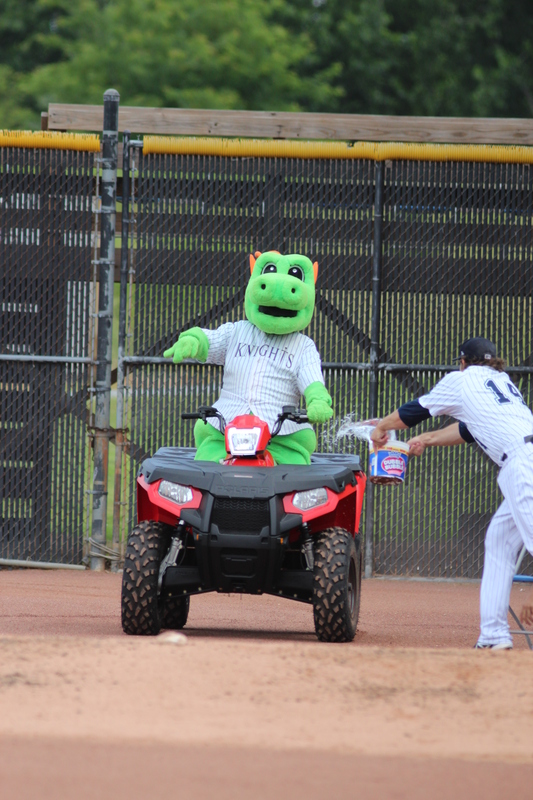 Just a few days later, Knights mascot Homer visited the construction site of the Knights’ new ballpark in order to help out with the construction. Finally, some dragon-with-a-hammer content on this blog! I knew it would happen one of these days. I just wrote a big two paragraph introduction that, upon further reflection, was little more than anxiety-ridden self-indulgence. Who needs that noise? 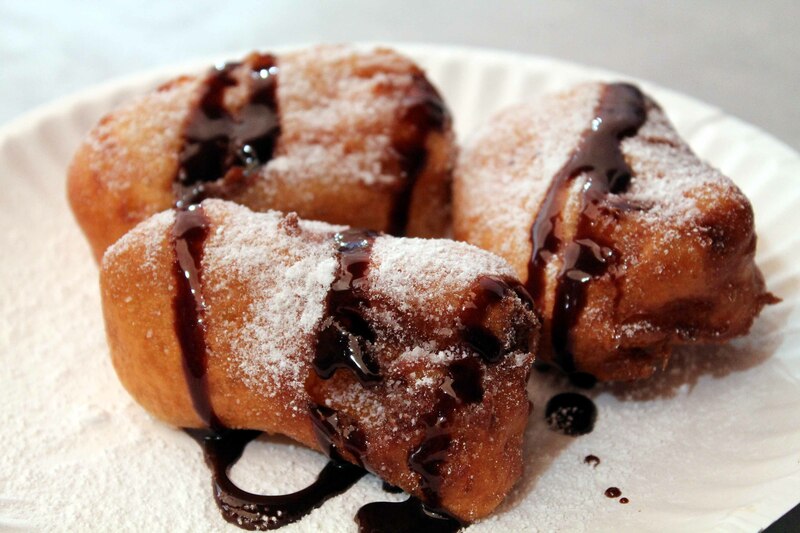 Forget all that, and let’s get to the good stuff. We now join this blog post, already in progress. So many things have happened! Are happening! Will happen! All the time! I don’t know where to begin, but I do know when. 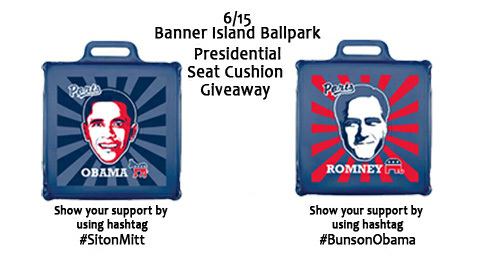 Last month, I gave ample virtual ink to the Stockton Ports’ “Presidential Seat Cushion” giveaway. One side of the cushion features presumptive Republican nominee Mitt Romney, while the other is of Democratic incumbent Barack Obama. And the fans are being asked to sit on the face of the candidate that they do not support. On the other side of the age spectrum was this young fella, now traumatized for life due to prolonged exposure to presidential seat cushion caricature. 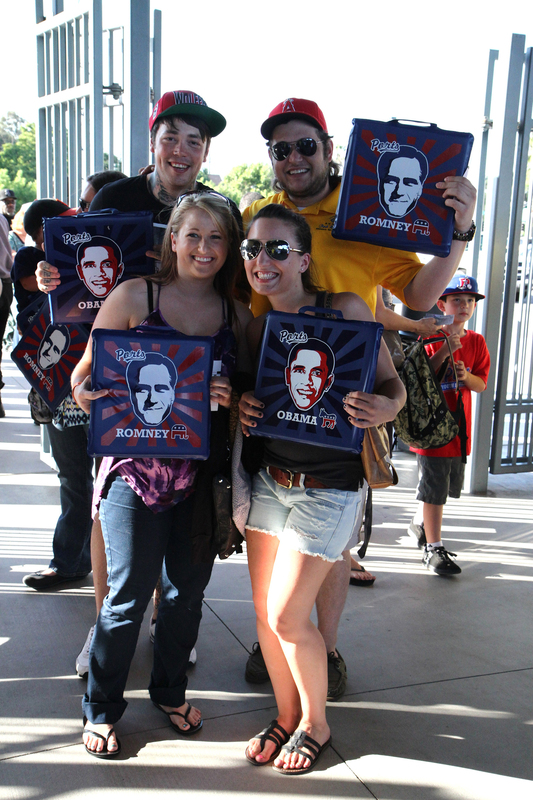 Meanwhile, this crew was all over the political spectrum. 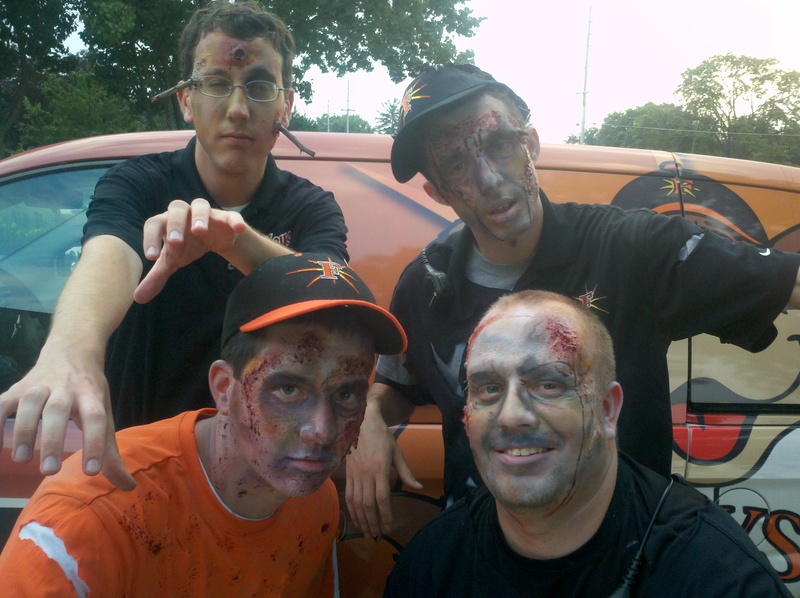 Another notable June promotion, and one that I also featured prominently in Promo Preview, was the Frederick Keys’ “Six Months to the End of the World Night.” As the name would imply, it was an evening of apocalyptic proportions. 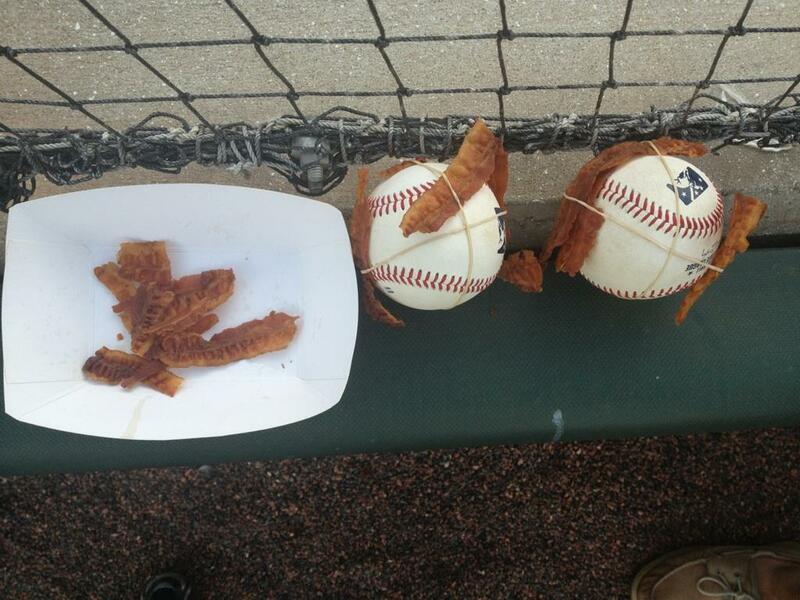 And how’s this for a deliciously morbid between-inning promotion? 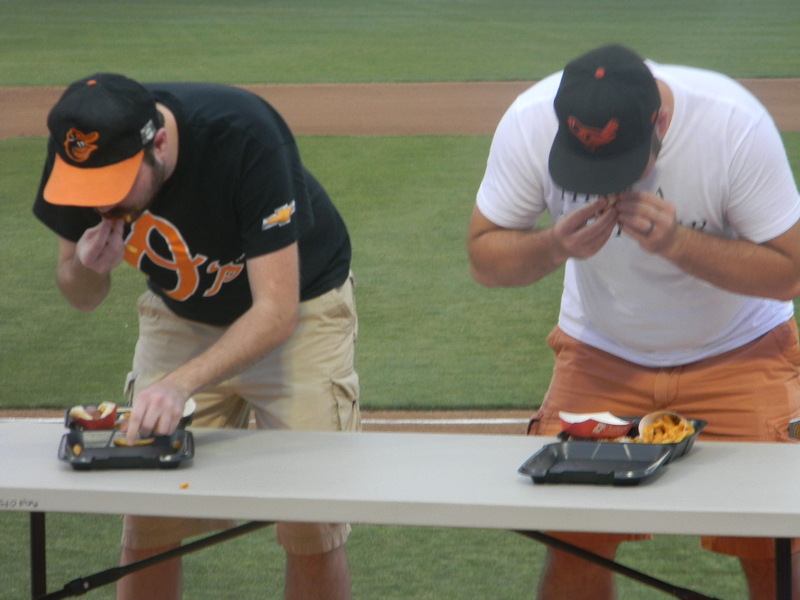 A “last meal” eating contest. 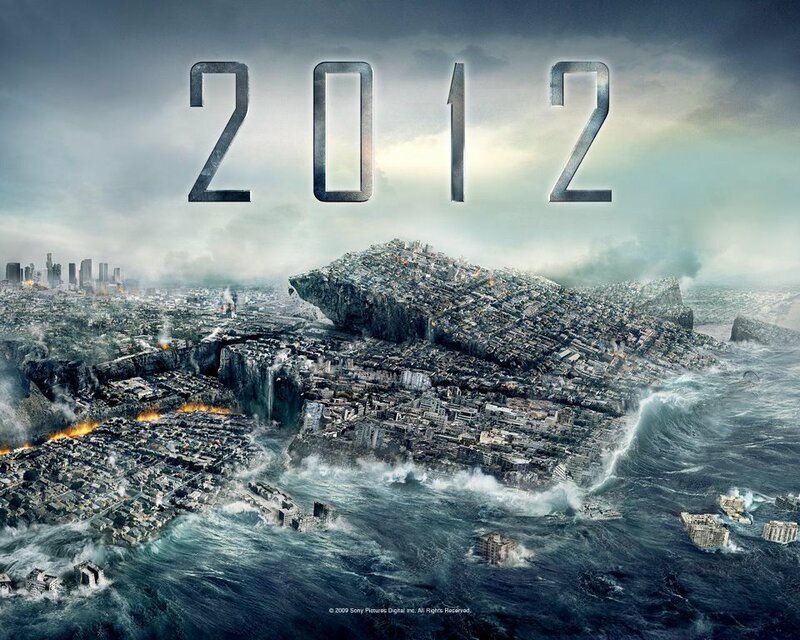 Apocalyptic imagery has been everywhere in recent weeks. If you haven’t seen this terrifying/hilarious video of a Tennessee Smokies tarp pull gone awry, then it’s well worth the short time it will take to rectify that. 122,000 views and counting for “Tarp-Nami” — and no one got hurt! 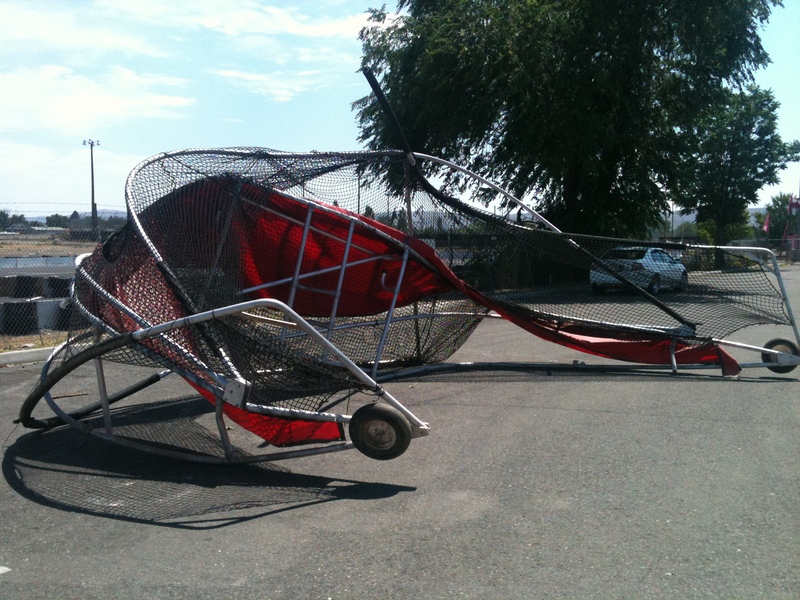 It was found on Pacific Avenue in Yakima after the storm. I’m not sure that anyone could have curtailed a calamitous event such as the above — not even Spiderman. 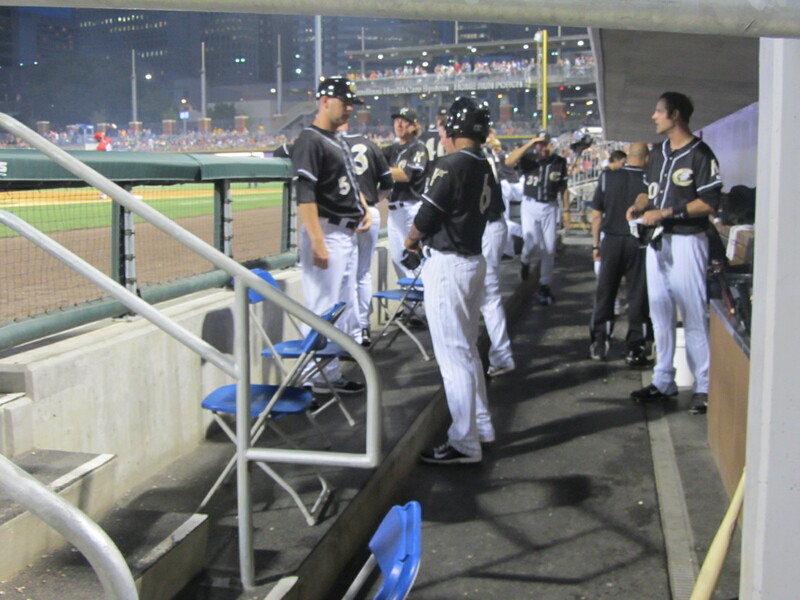 Last I saw that guy, he was wandering around the visiting dugout during a Charlotte Knights game. 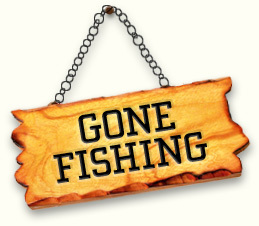 The most pressing thing that needs to be conveyed at this moment in space and time, from a blogging perspective, is this: next week there will be no new blog posts. This is because I’m taking a a week-long respite from Minor League Baseball, in the form of a vacation. When I return, it will be nearly March. And if it’s nearly March it’ll nearly be baseball season. 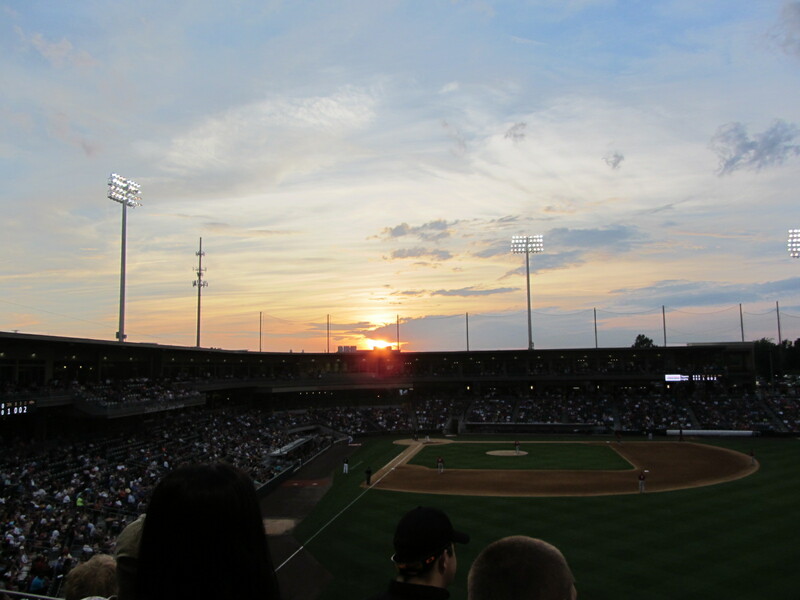 Therefore, it’ll be time for me to make some plans — where to go, who to see, and how to best cover this multifarious entity known as Minor League Baseball. Suggestions welcome, and appreciated! 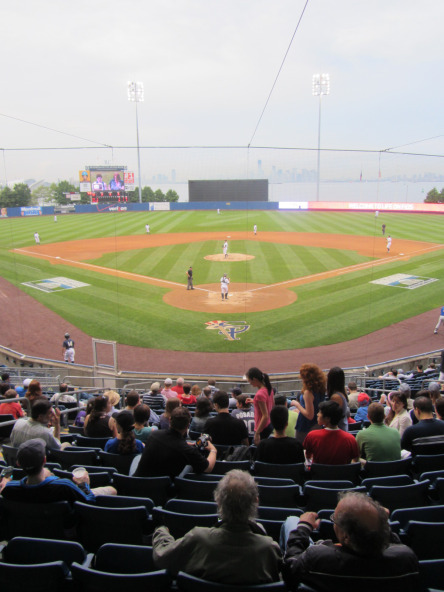 Unique content is key, so please get in touch with any knowledge you may have about any particular corner of this Minor League universe. I look forward to your reply. 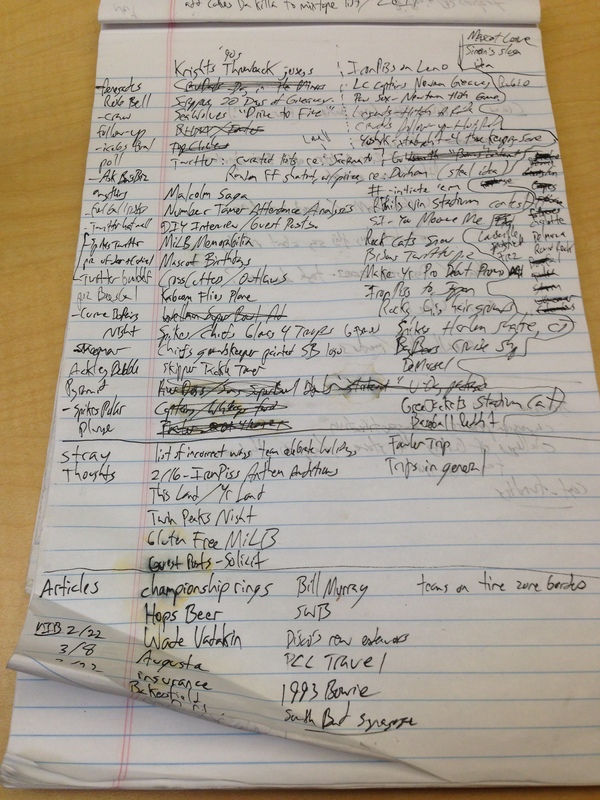 But, in the meantime, here’s a nice-sized portion of that typical Biz Blog content you’ve come to know and tolerate. 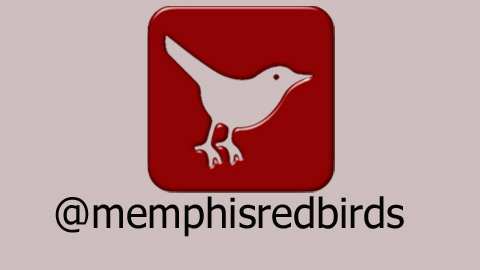 As I’ve mentioned before, we’re in the midst of “promotion unveiling season.” One of the more interesting ones to come down the pike this week comes courtesy of the Memphis Redbirds, who have put an interesting spin on the increasingly prevalent “social media” sub-genre. 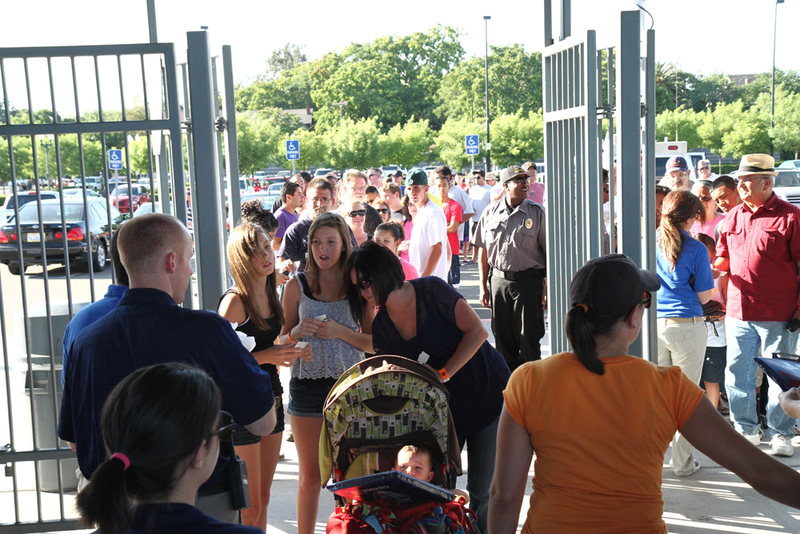 The first 500 fans through the gates that use Twitter can write down their Twitter username, allowing the Redbirds to follow them. 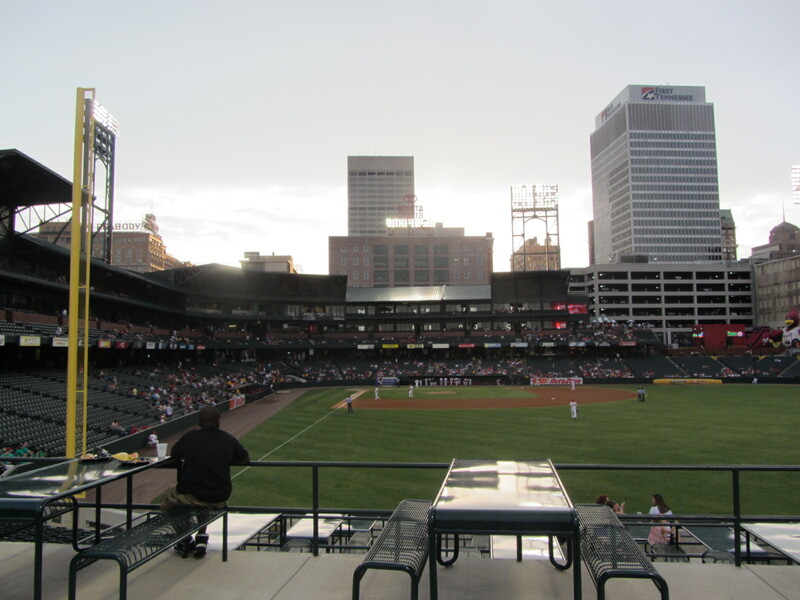 Prior to the game, a Twinterview will be held with one of the Memphis Redbirds players. Twitter handles from each player will also be included on their headshots on the Redbirds’ new video board. 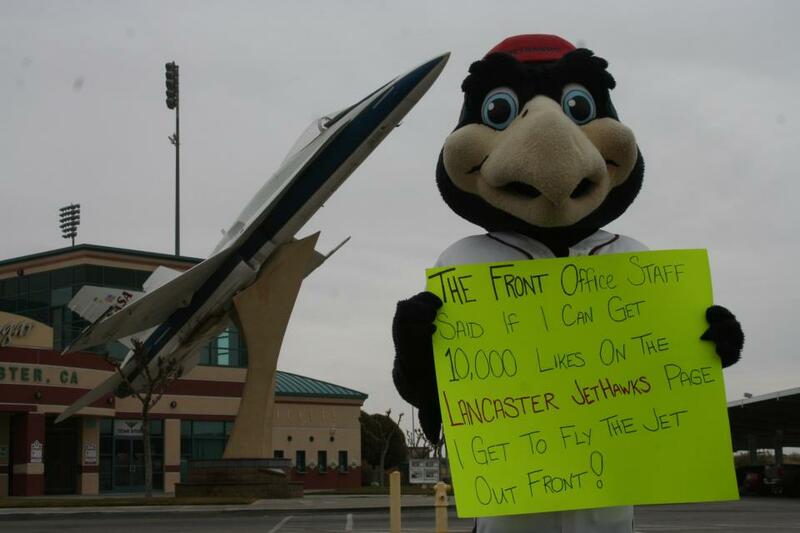 Fans will be encouraged to take a photo from where they sit at the ballpark and share it on Facebook. 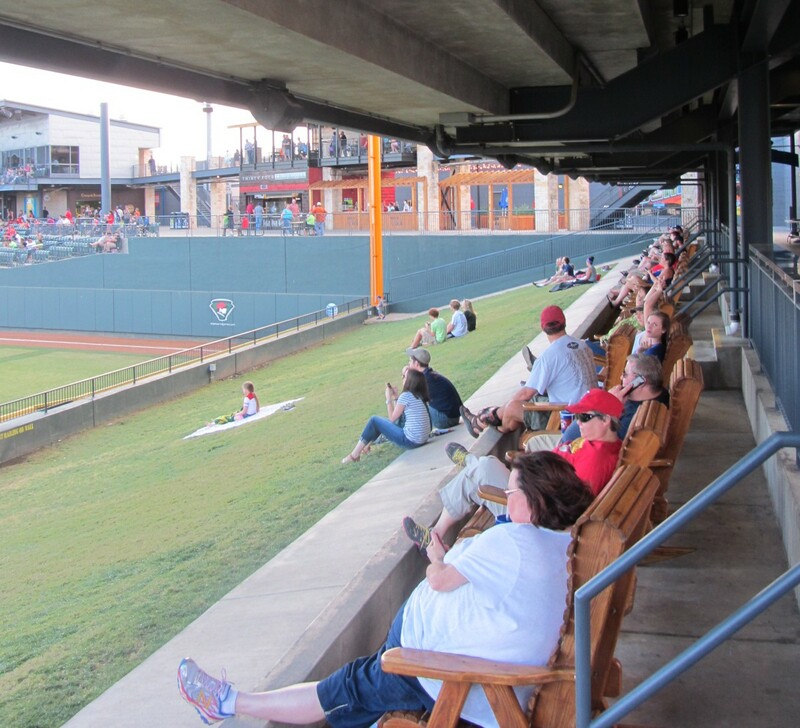 Adding their seat location to the picture caption will give them a chance to win a social media themed prize during the game. One fan will also receive a prize pack that includes a bird watching book, a team-signed hashtag and a box of figurines containing 140 characters. Not surprisingly, my favorite aspect of this promo is the “prize pack.” I look forward to seeing what a “team-signed hashtag” looks like, and, especially, what sort of figurine characters end up in the box. My last post had a Valentine’s Day emphasis, but now that particular holiday is firmly in the rear-view mirror. Or, is it? 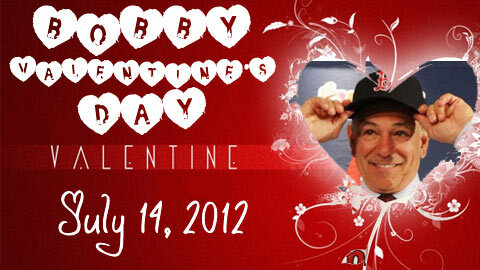 In honor of the Red Sox’s new manager, the Lowell Spinners are hosting their own “Valentine’s Day” on July 14. 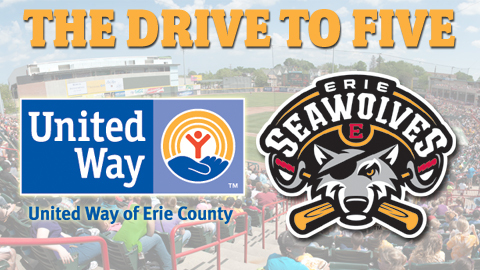 The first 1,000 fans through the gates will receive a pink Bobby Valentine’s Day Spinners’ baseball. 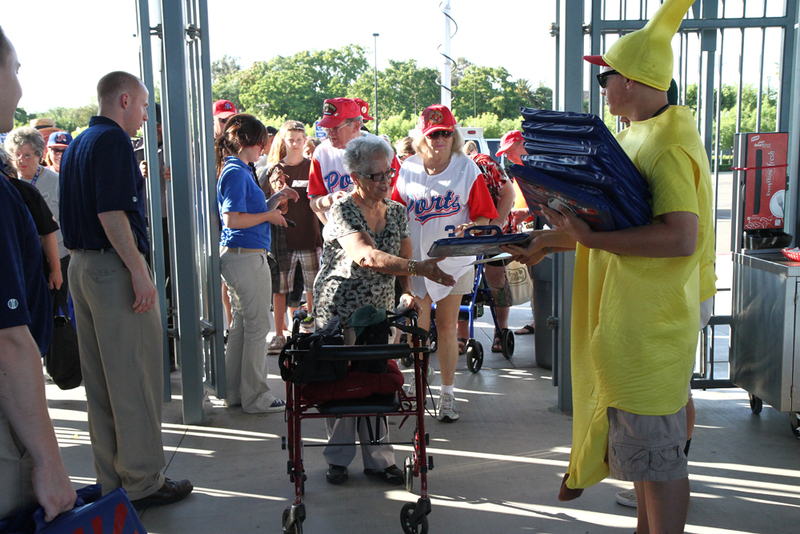 Fans who do not receive a baseball will be rewarded with Valentine’s candies and cards so no fan is left lonely on Bobby Valentine’s Day. 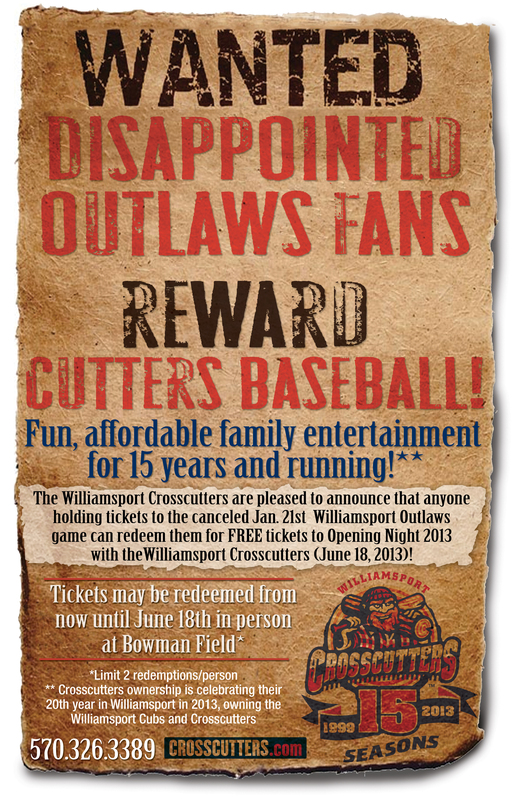 The concourse will feature a Valentine’s card swap area, with Valentine’s available for younger fans to give to each other, leave for their favorite Spinners players or, of course, leave for Bobby Valentine. 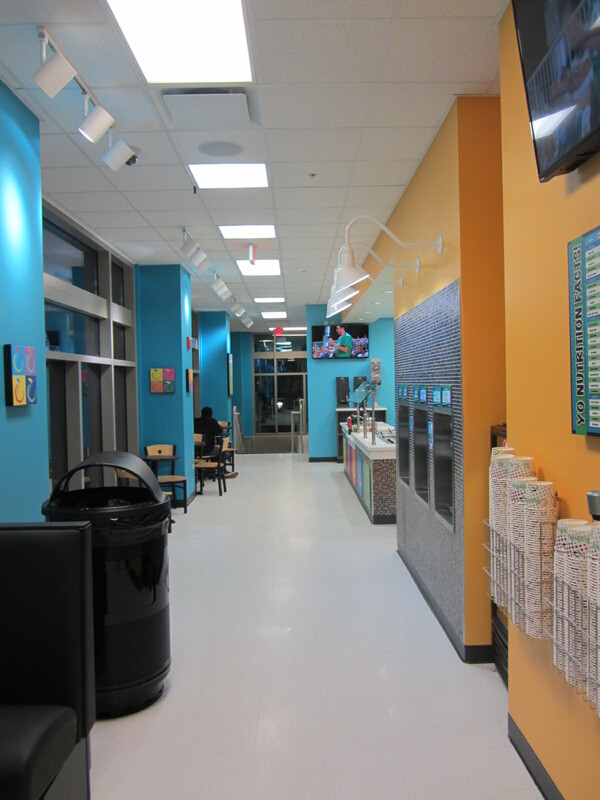 The area will also have an abundance of Valentine’s Day favorites, including Hershey’s Kisses and NECCO Hearts. 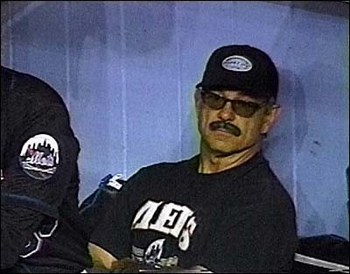 Outside of Valentine’s Day, the Spinners will also salute Bobby Valentine by exploring some of their favorite Bobby V-isms. 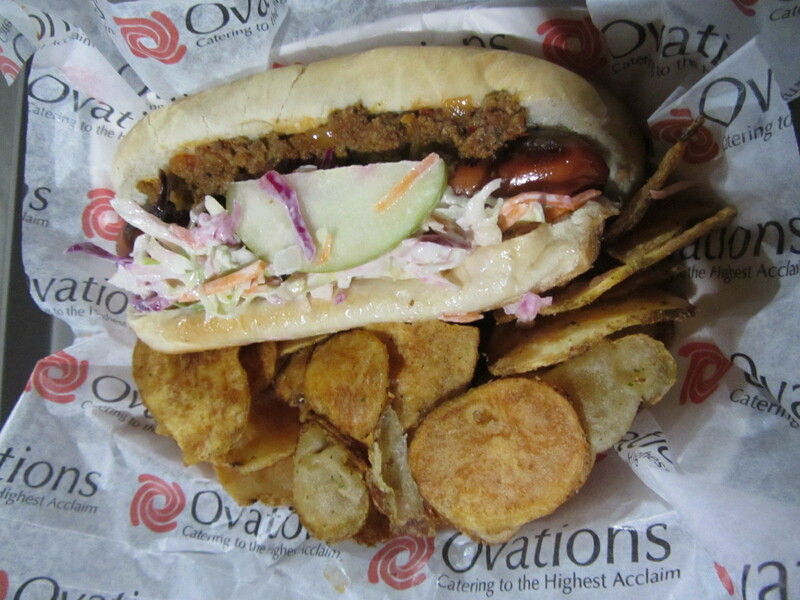 The concession stand will feature wrap sandwiches, in honor of their inventor, and the team will celebrate Bobby’s fabulous ballroom dancing moves, with a between innings dancing contest. As I mentioned on Twitter earlier this week, a component that needs to be added to this stellar promo is a mustache giveaway. 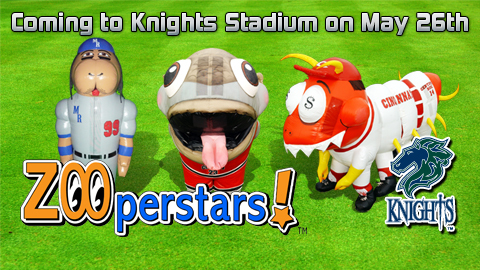 And all fans in disguise should get in free! 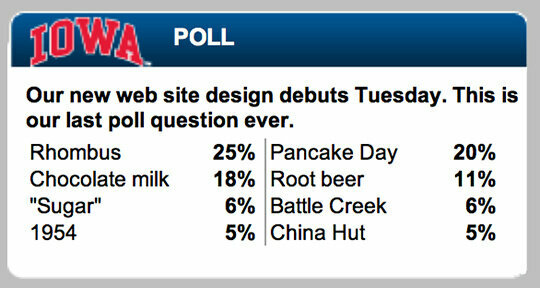 A reasonable question to ask at this juncture is “who cares about any of this stuff? 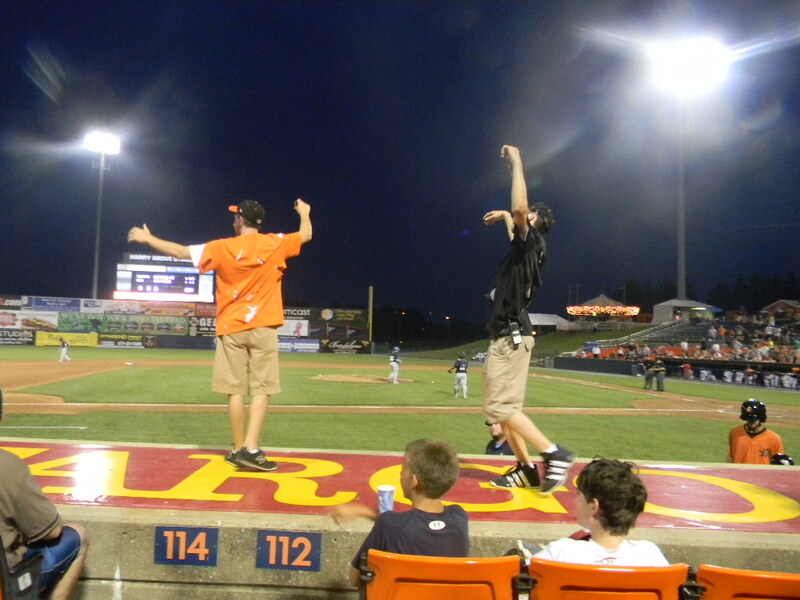 The world is ending!” The Frederick Keys understand such apocalyptic angst, and are therefore staging “Six Months Until the End of the World Night” on June 21. If the above didn’t satiate your appetite for apocalyptic images, then perhaps this will. 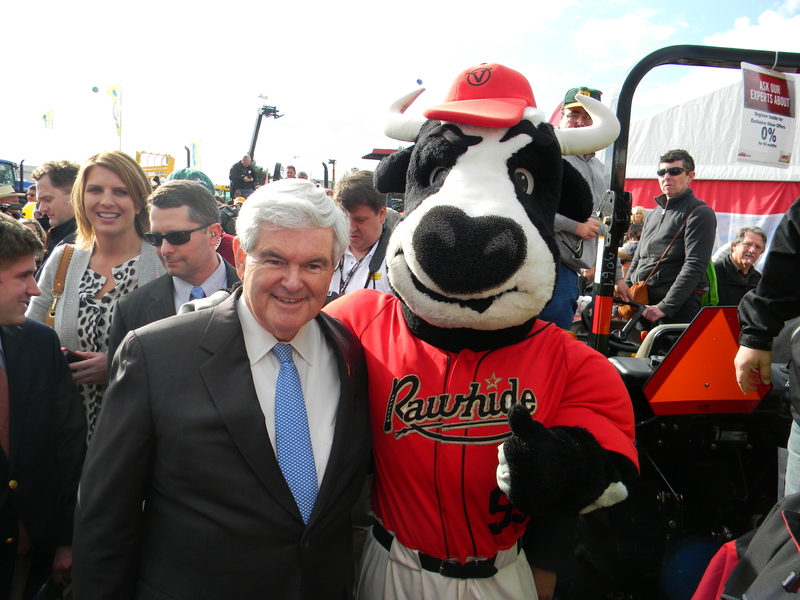 Yep, that’s Visalia Rawhide mascot Tipper with his ol’ buddy Newt Gingrich at Tuesday’s World Ag Expo. The triumvirate of above characters look like they could be gatekeepers to the afterlife, but fortunately we won’t have to deal with such matters for another six months. In the meantime, all you need is Like! 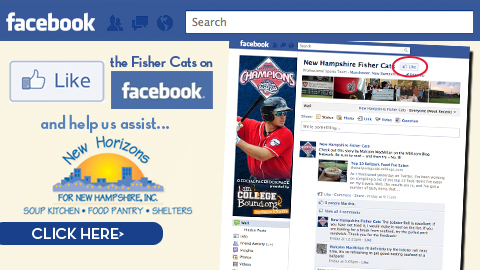 The New Hampshire Fisher Cats are aiming for 10,000 new Facebook fans this month, and will donate $5000 to New Horizons soup kitchen and homeless if this goal is met. So CLICK HERE and like away! And you know what? That’s going to do it for me. I’ll be back on the blog come 2/27, but in the meantime please meditate on what you like about this blog, what you don’t, and what you’d like to see from it in the future. I’d love to hear it.